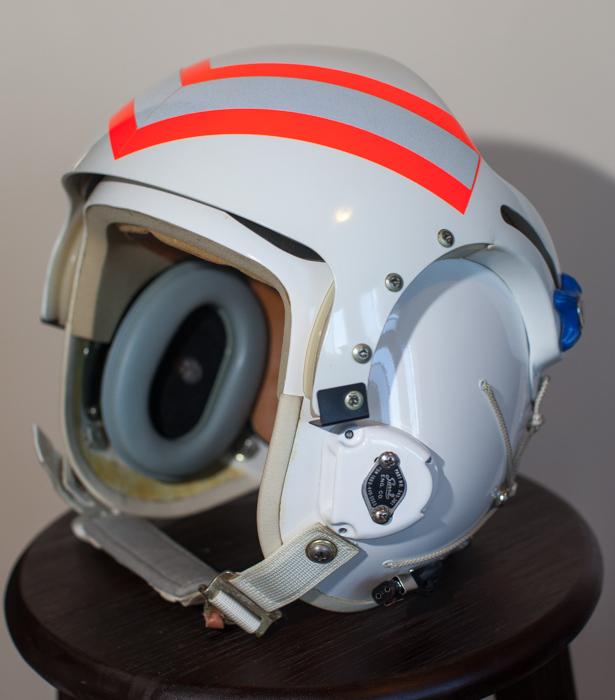 Heritage Flightgear Displays | Welcome to the largest online resource for flightgear heritage displays and information. 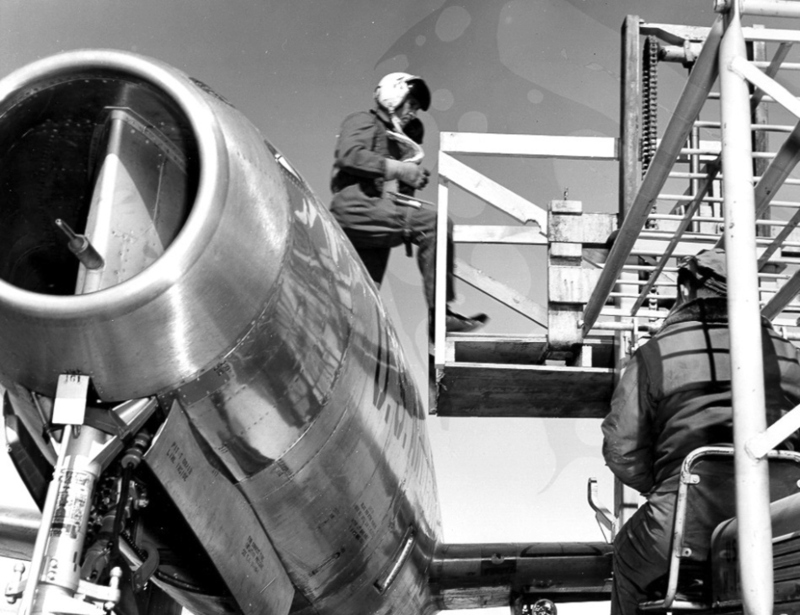 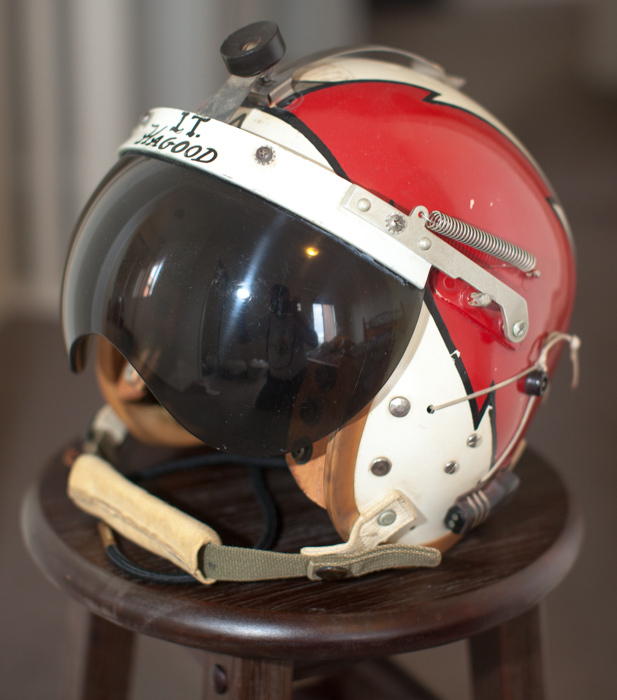 This site is a tribute to all pilots and ALSE personnel across the globe. 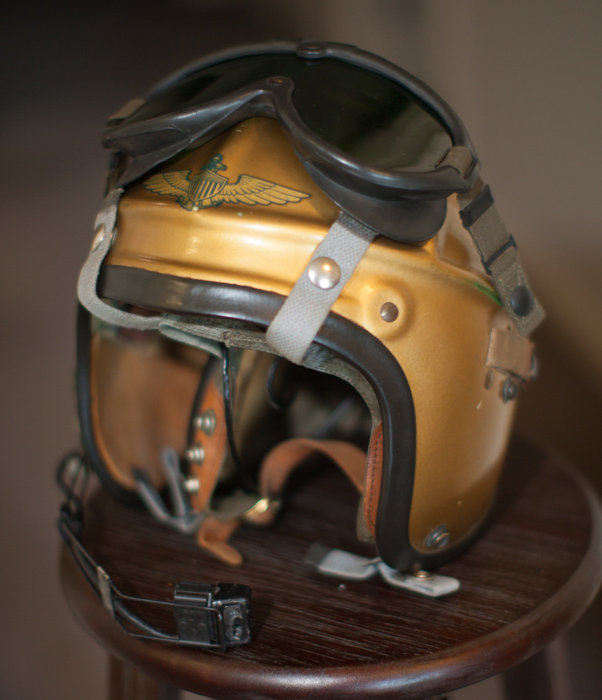 Collecting flightgear for preservation purposes, display and reenactment is a growing trend worldwide. 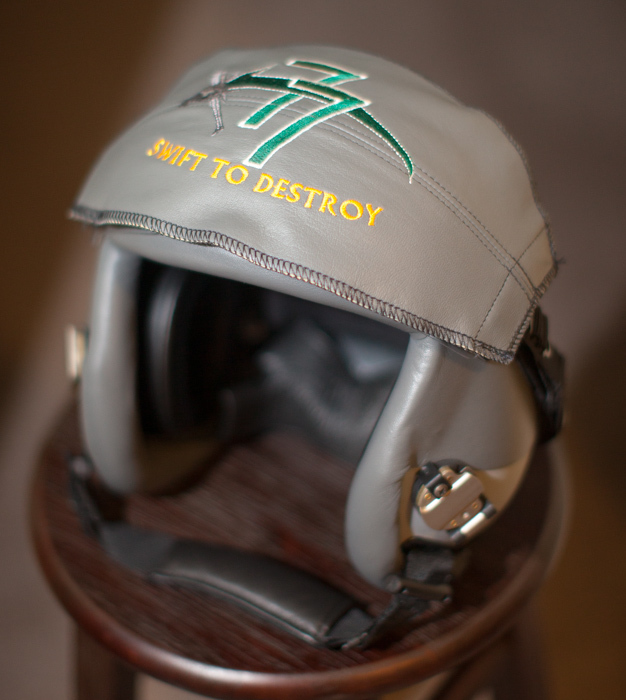 This is reflected in a almost constant demand/supply operation as seen on ebay and military / flightgear dealer websites. 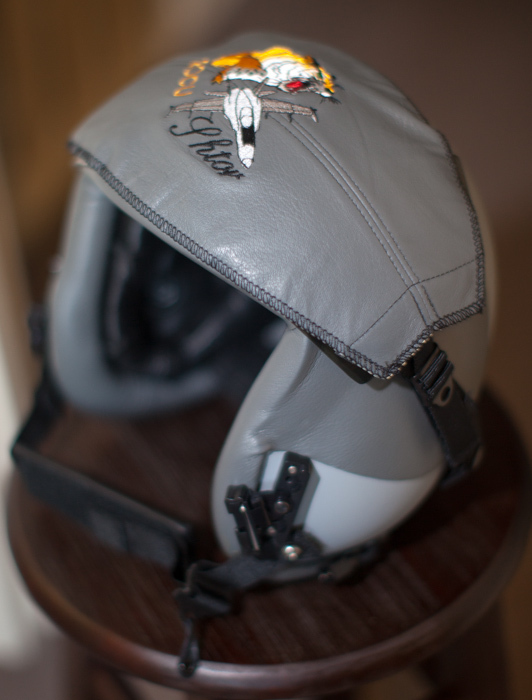 In Australia there are a few people who collect flightgear. 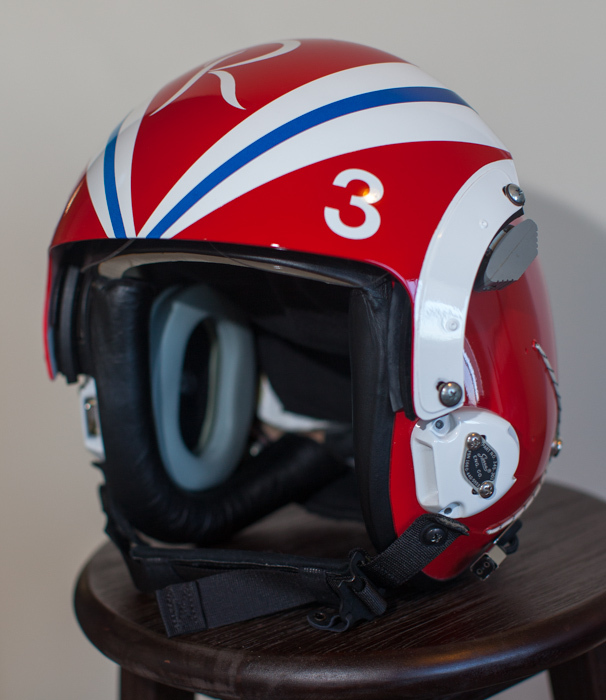 One such collector has allowed us an insight to their flightgear collection. 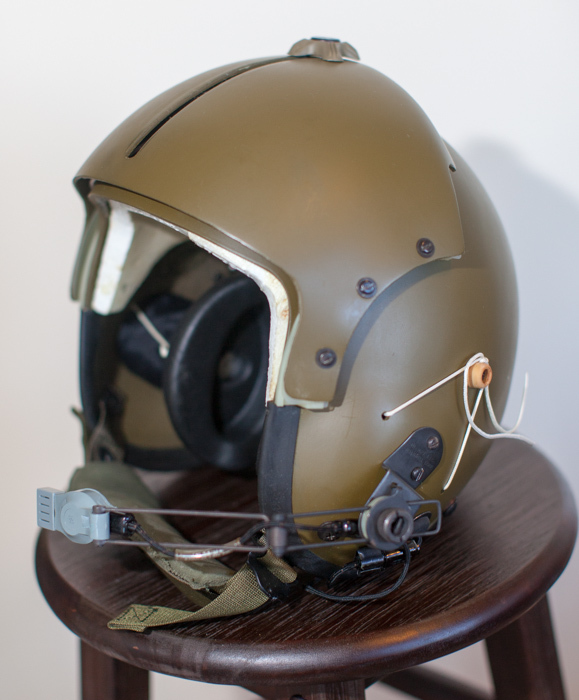 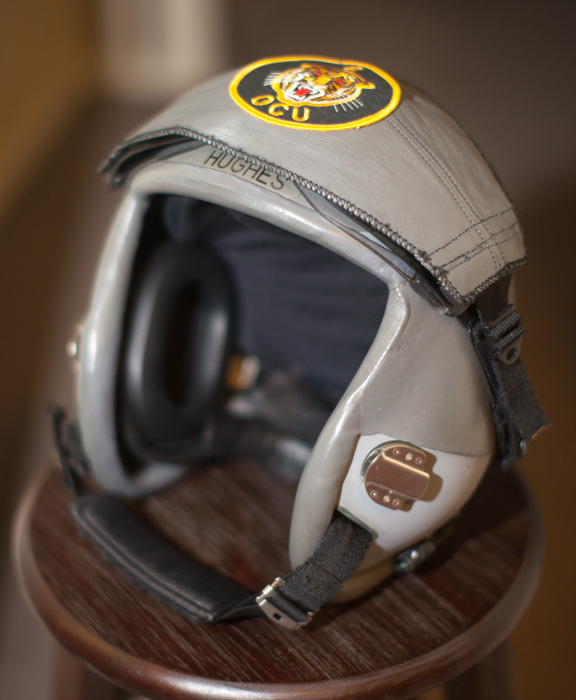 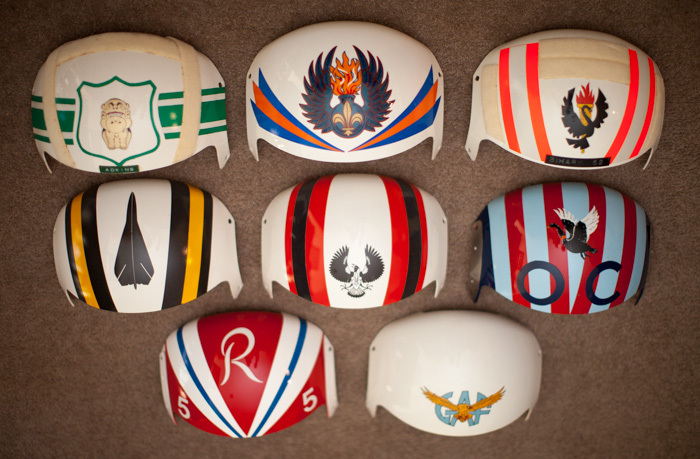 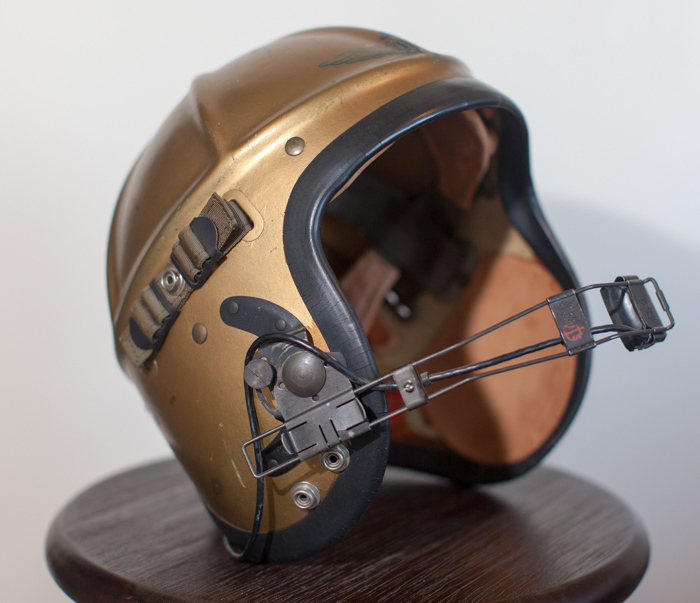 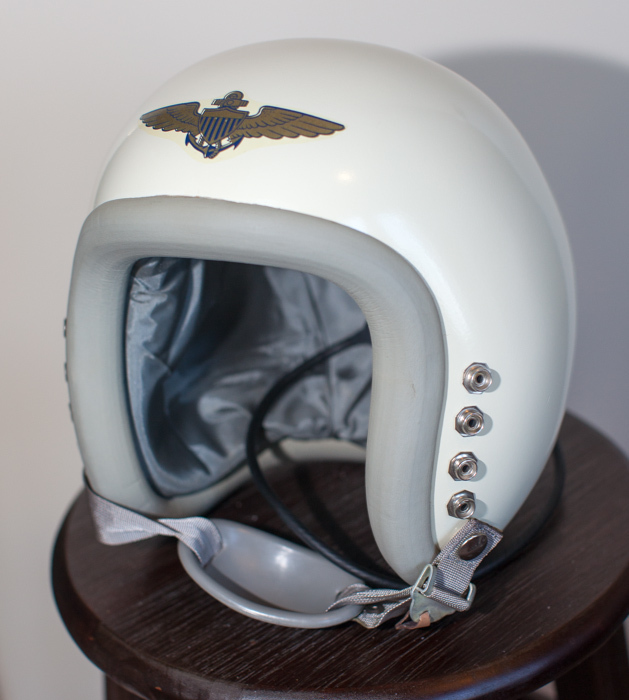 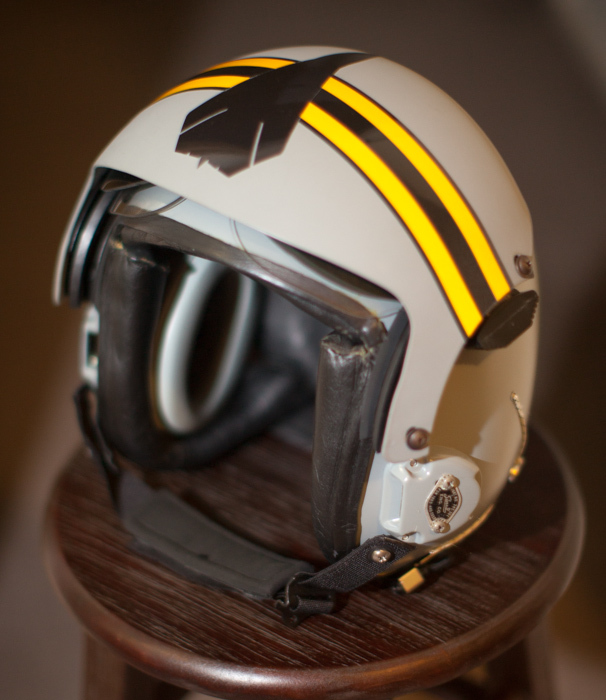 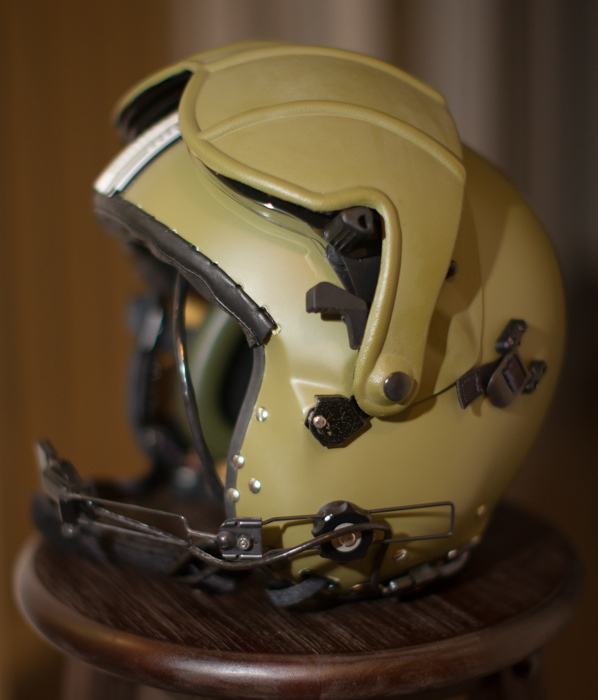 They has brought and acquired some interesting flight helmets, with a large RAAF heritage connection. 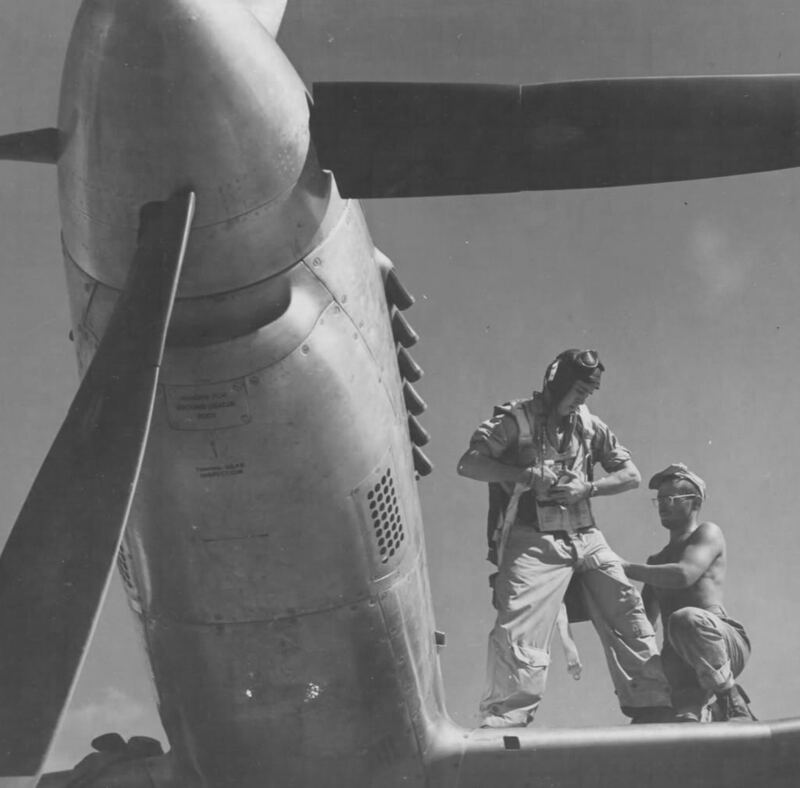 WW2 era USAAF P-51D Mustang pilot climbing into his aircraft. 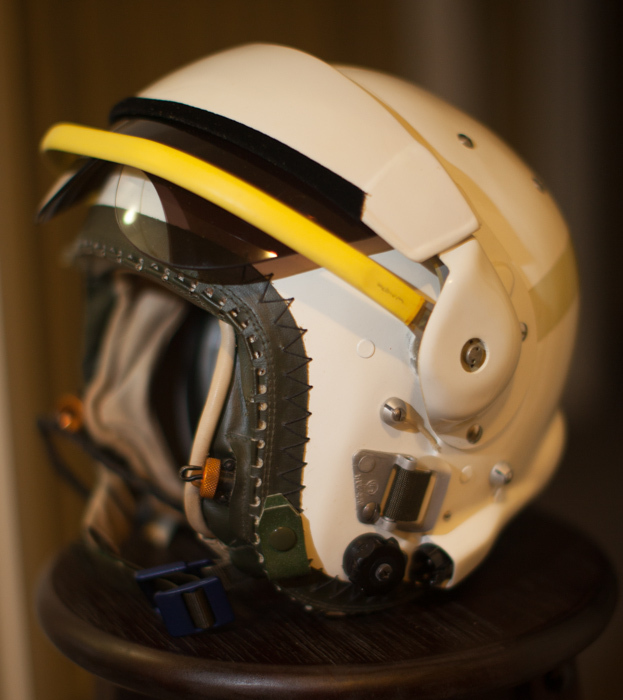 Interesting to note other helmet on cockpit dash… He wears a B-3/4 LPU, tan flight suit, ANH-15 flight helmet and AN-6510 gogles. 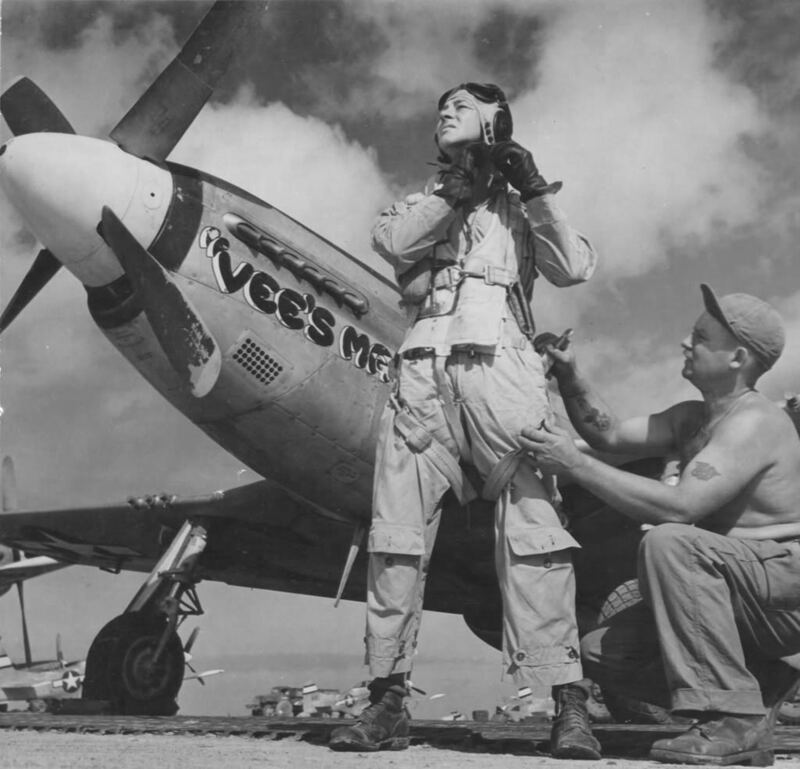 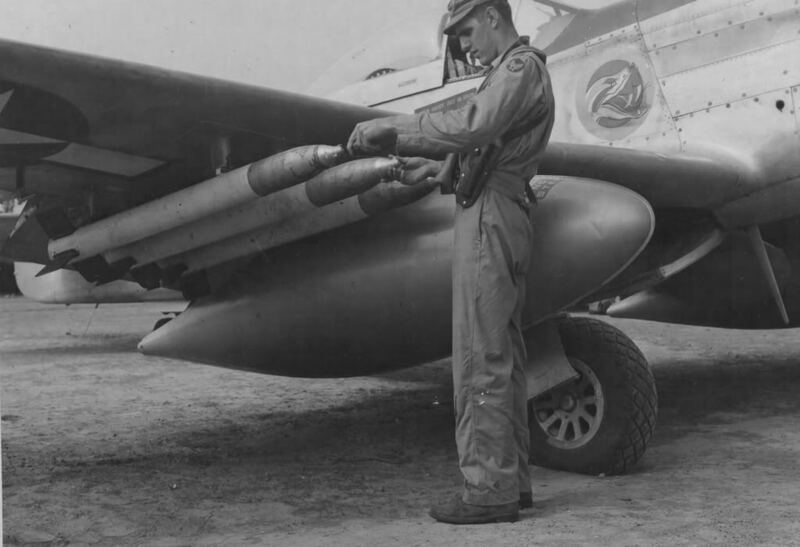 P-51 Mustang pilot wearing tan flight suit with a B-8 parachute on his back. 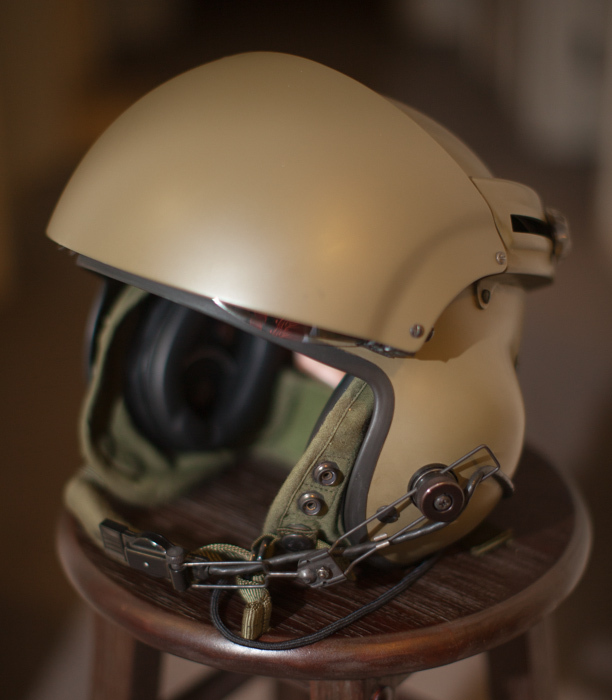 B-6 flight helmet maybe? 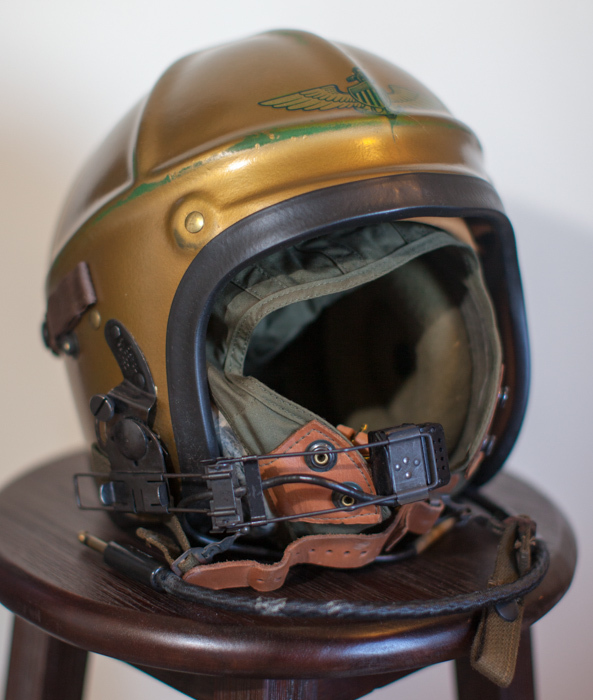 L – AN-31 flight suit?, B-8 goggles, ANH-15 flight helmet, B-8 parachute harness, A-2 flight jacket, ANH-15 with B-8 flight goggles. 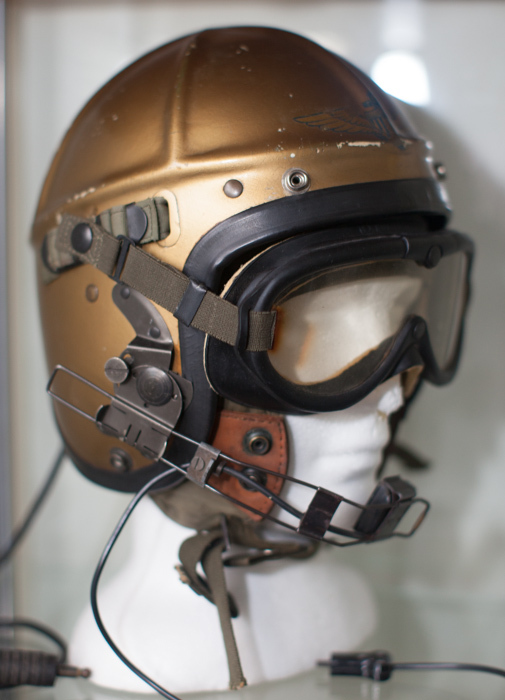 L – AN-31 flight suit?, B-8 goggles, A-11 flight helmet, B-8 parachute harness, B-3 LPU. 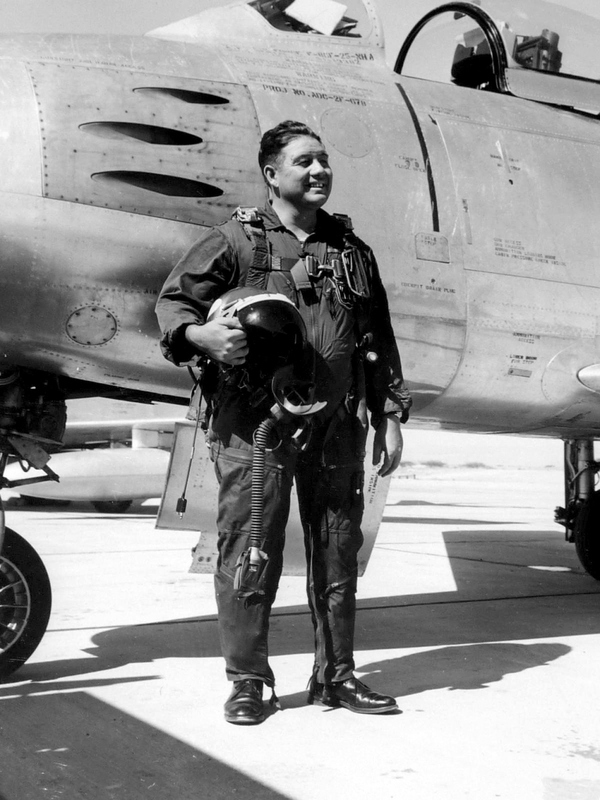 R – Pilot wearing An-31 flight suit with shoulder harness. 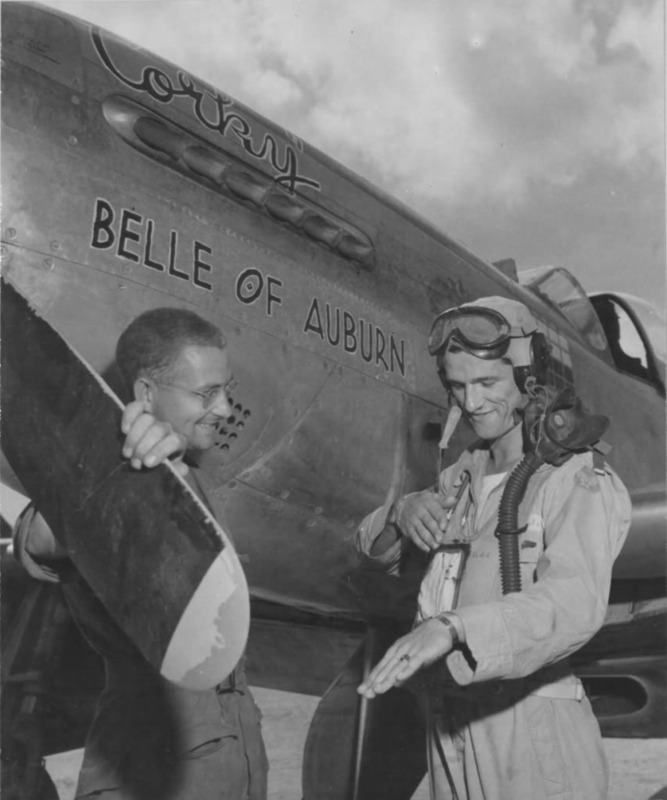 Note AAF decal on suit. 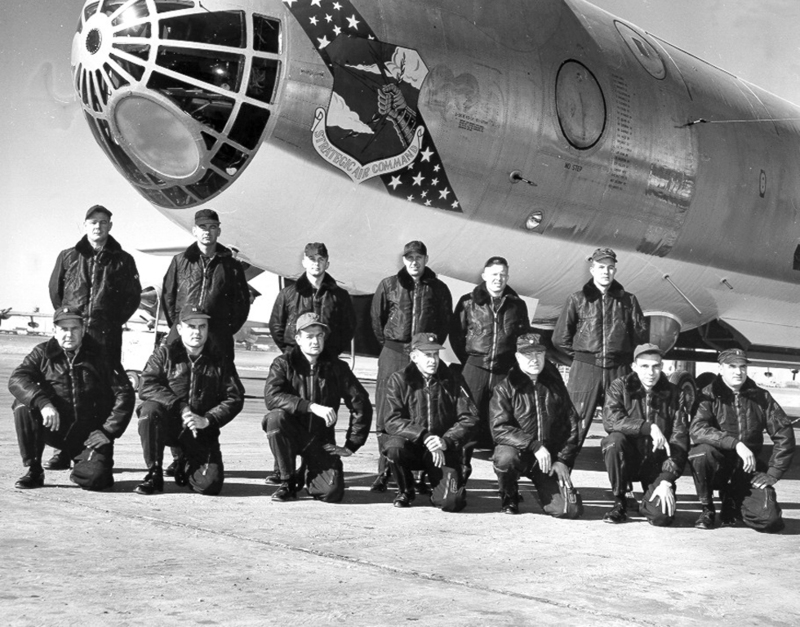 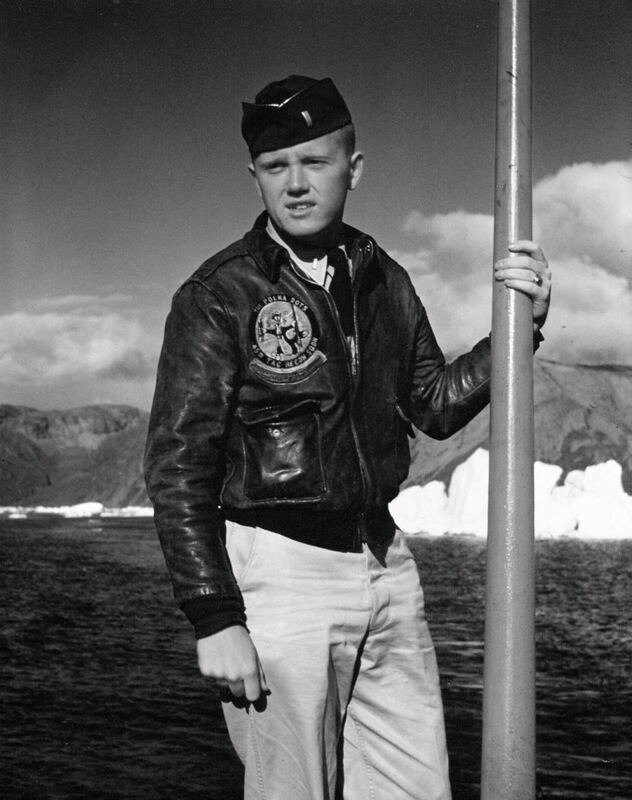 1950s – L – B-36 Peacemaker crew – black flight caps, B-15C winter jacket, L-1A flight suit. 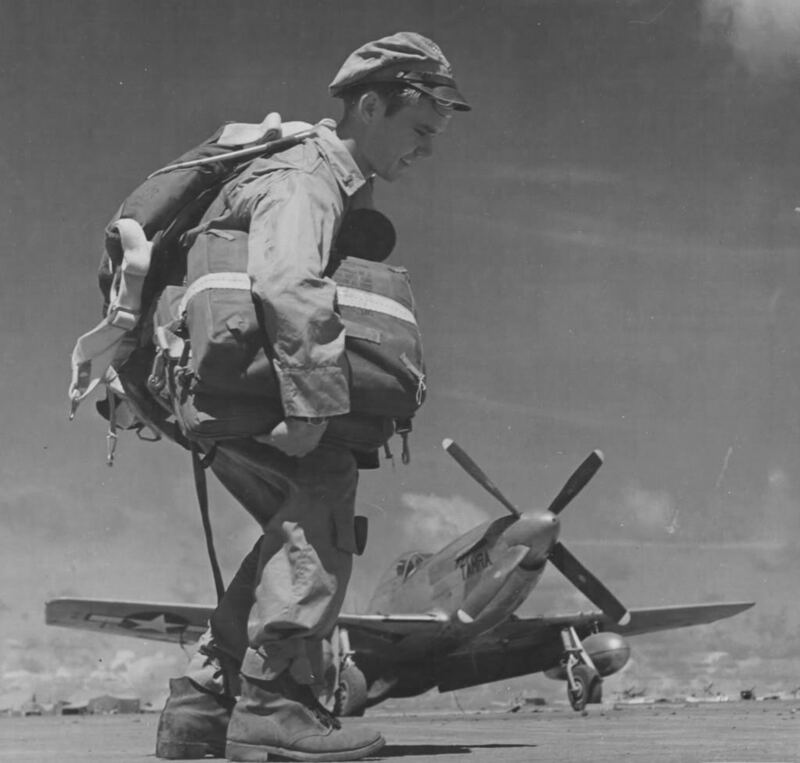 R – Nuclear test F-84 pilot hopping out after a test using forklift. 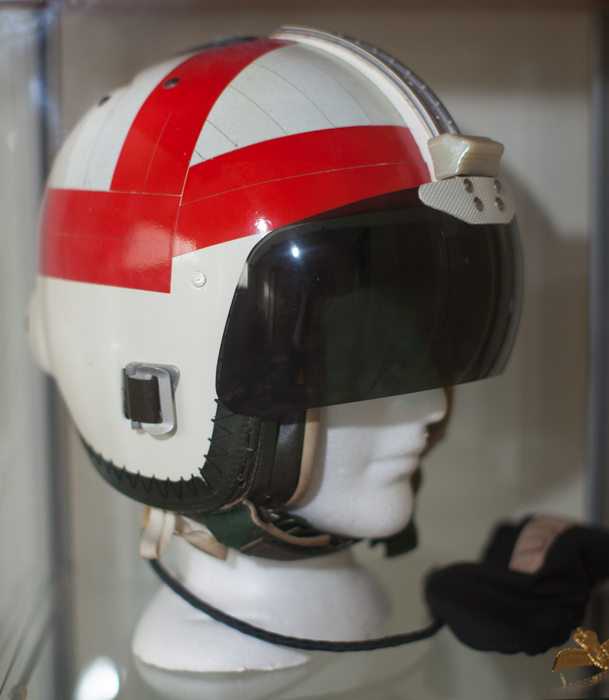 P-3 flight helmet and B-5 LPU and K-2B flight suit?. 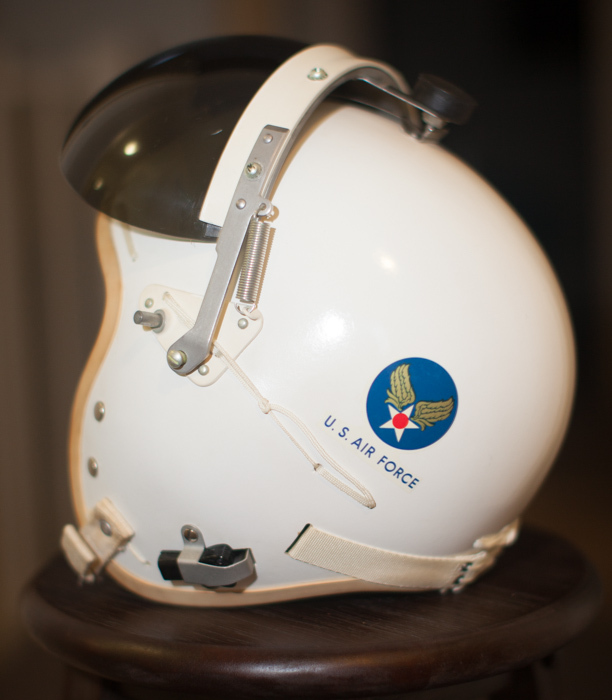 L – Pilot going to Korea War with 45th TRS Polka Dots as per patch on A-2 flight jacket..i sell these patches replicated – http://flightgearparts.wordpress.com/flight-suit-patches/ , R – AN-31 flight suit, B-3 LPU, S-2 seat parachute harness. 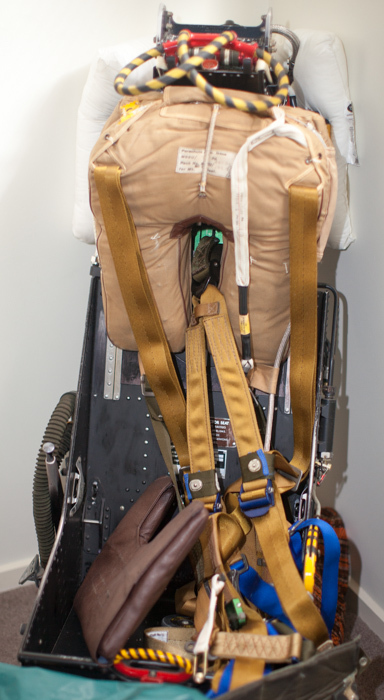 L – AN-31 flight suit, ANH-15 flight helmet, A-14 oxygen mask, B-3 LPU and S-2 seat parachute harness. 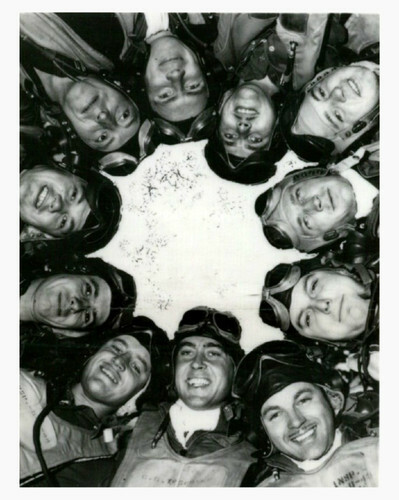 R- A USAAF B-17 bomber crew?.. 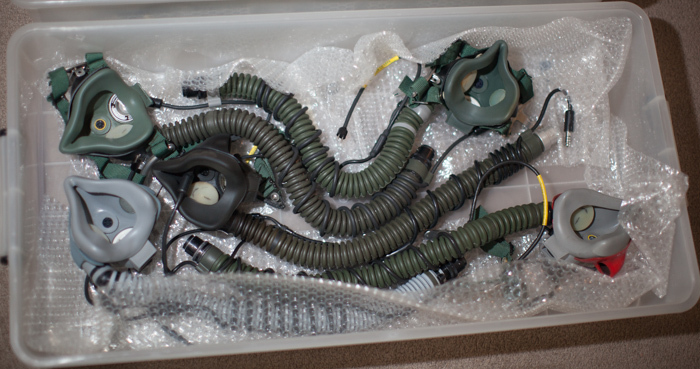 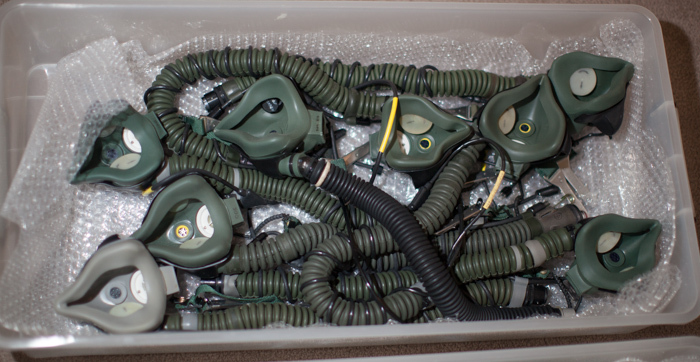 A-4 and AN-31 flight suits, B-3 LPU and various parachute harness, some QA types. 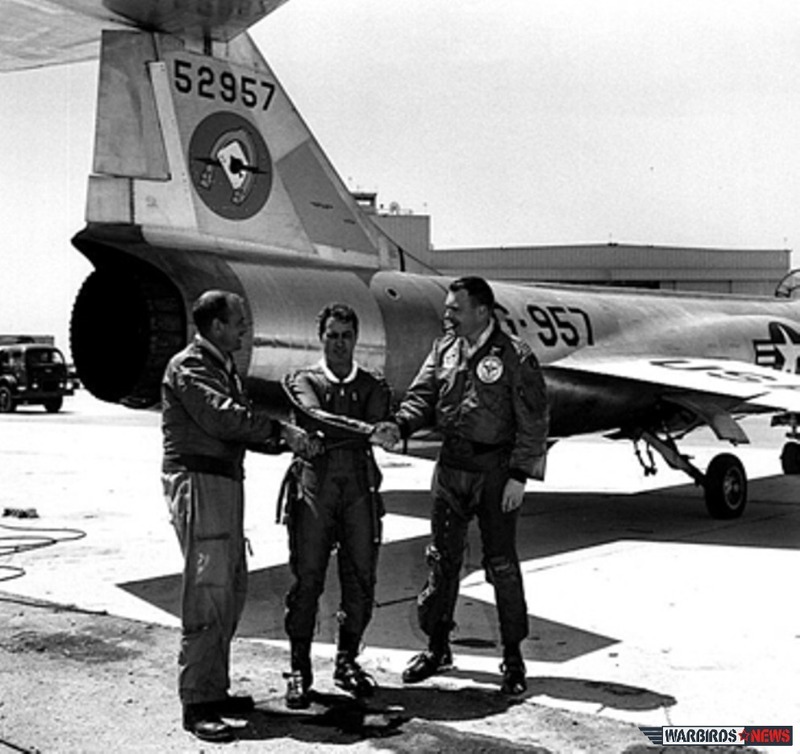 F-104 Starfighter pilots wearing K-2B flight suits, HA MA-2 flight suits, G-3 g suits, L-2B flight jackets. 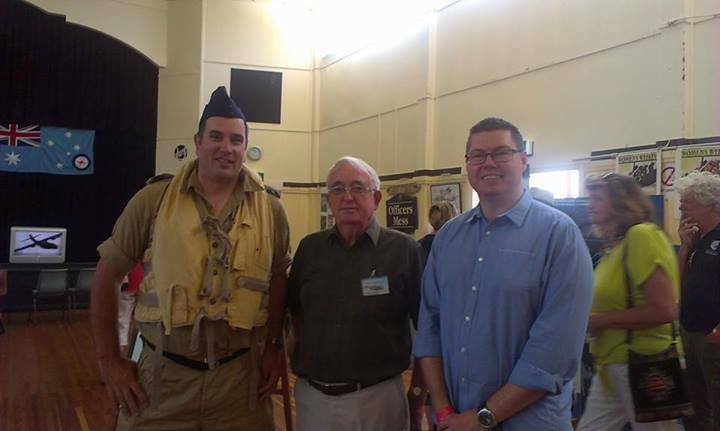 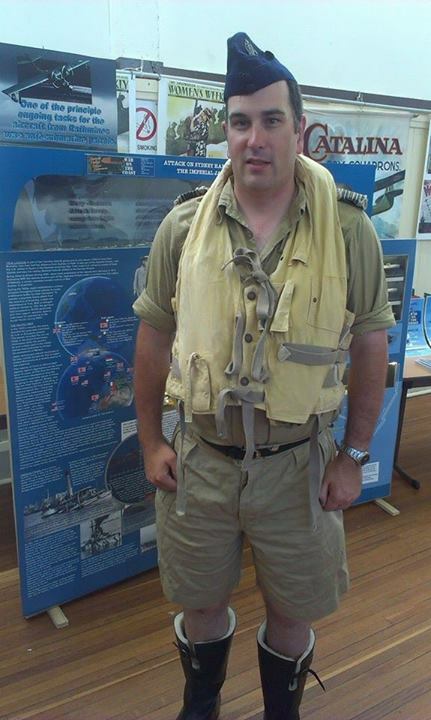 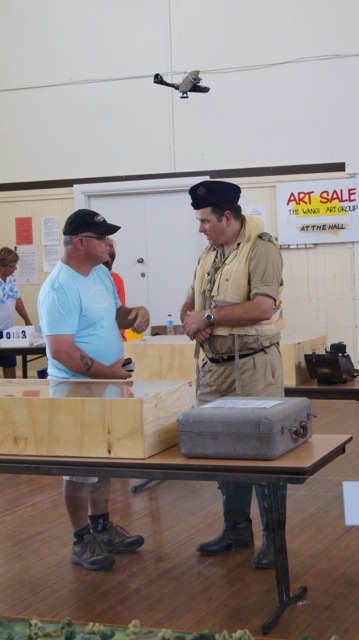 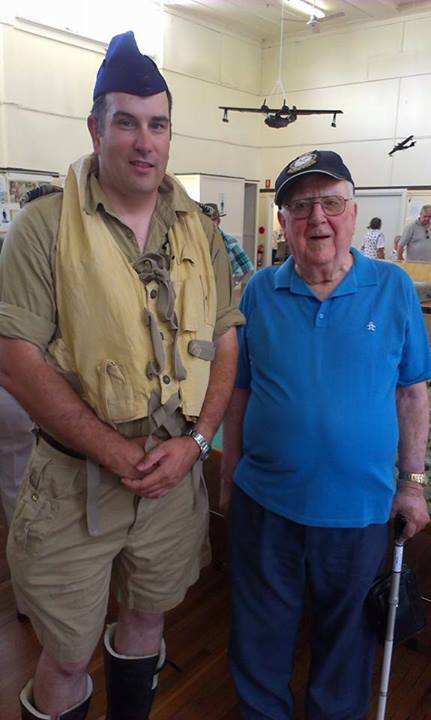 Recently at the Rathmines Catalina Festival, at former RAAF vase Rathmines, NSW, Australia, I went along to educate and show people what the aircrew of WW2 wore in the flying boats such as Catalina, Mariner and Sunderlander. 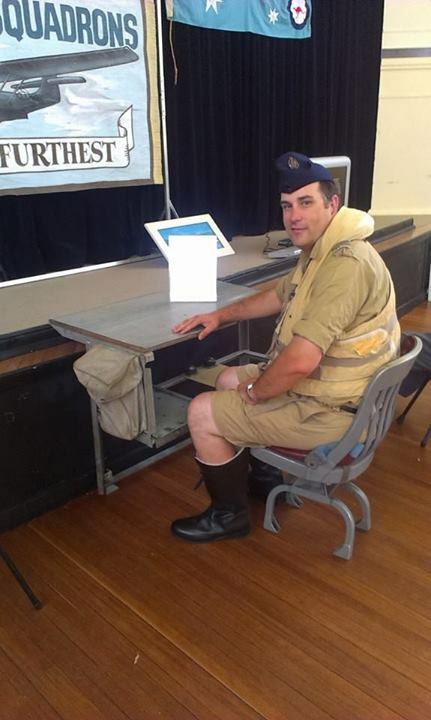 Many people were impressed and veterans were glad to see someone at least trying to carry on their service heritage aspects as a reenactor. 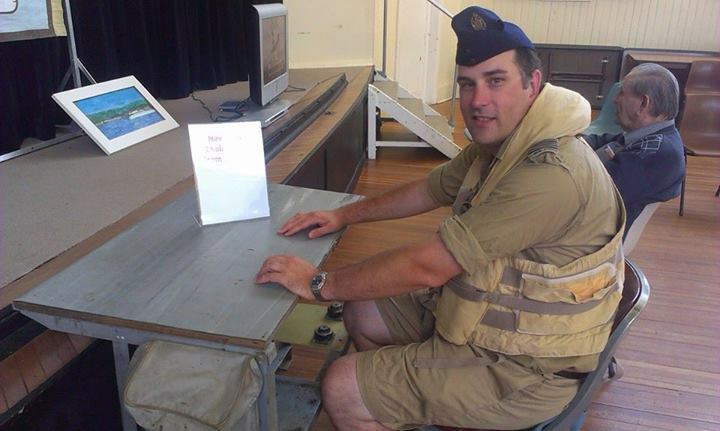 I wore a original 1941 flight cap, a replicated set of 1936 black wool lined flight boots, replicated tropical flight shirt and shorts with a sewn RAAF pilot wings and rank slides and a replicated Mae West 1941 type life preserver. 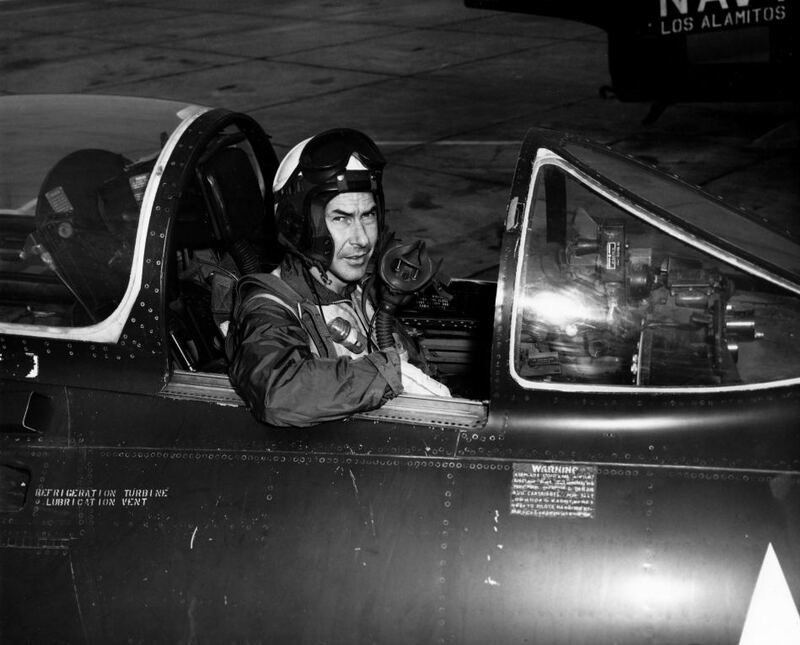 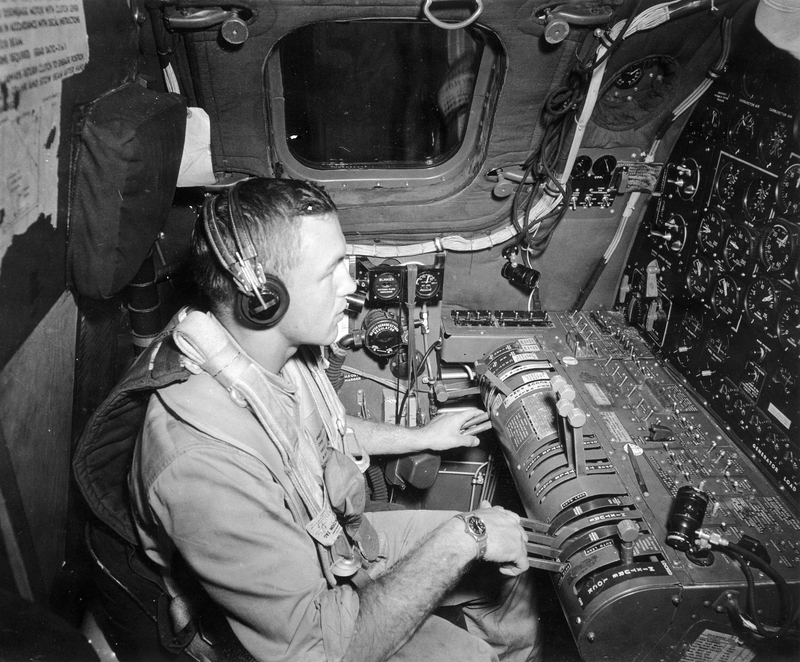 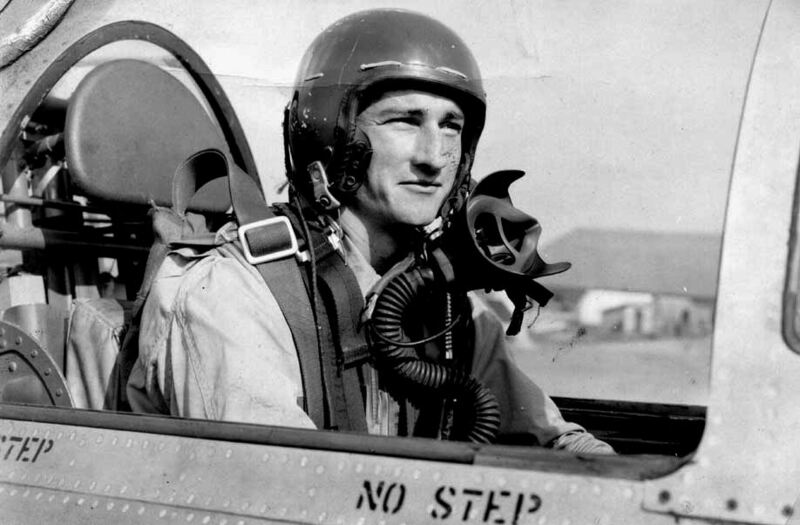 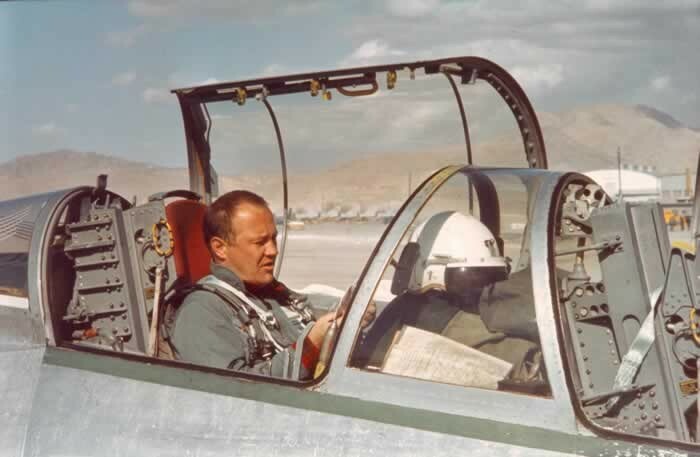 Late 1950s or early 1960s F-104 pilot sitting strapped in wearing L-2B flight suit and P-4B flight helmet covering the on cockpit gun site. 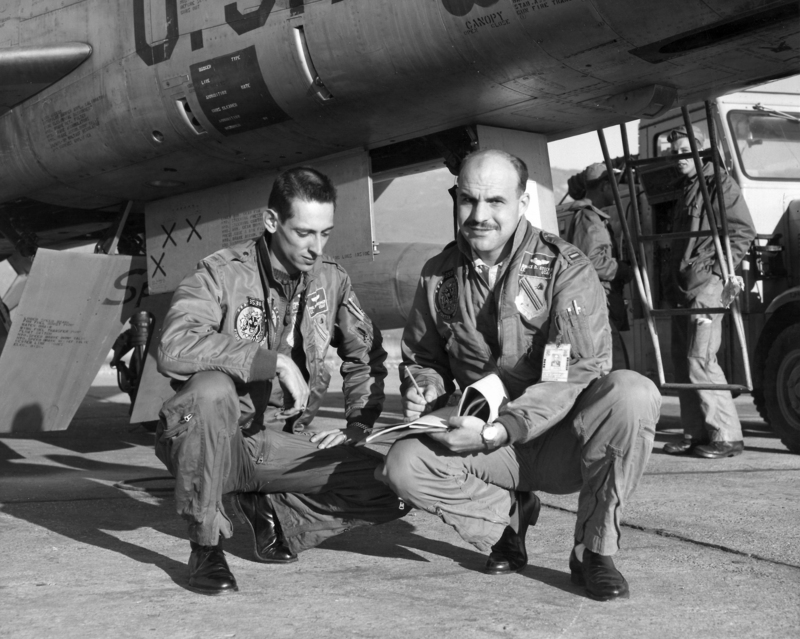 Korean era USAF pilots wearing tan K-1 and dark blue K-1A flight suits, with a L-2A flight jackets with patches. 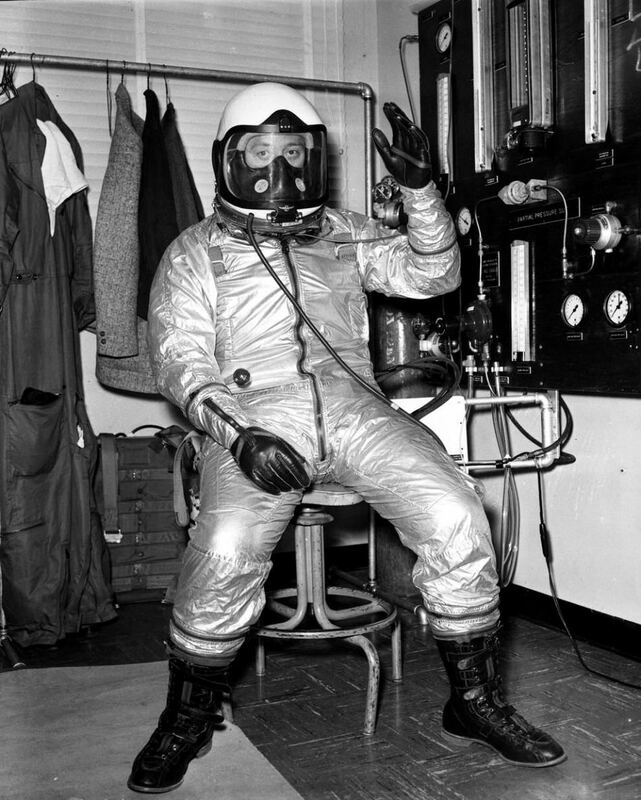 Late 1940s F-80 shooting Star pilot donning his immersion suit for over water flight. 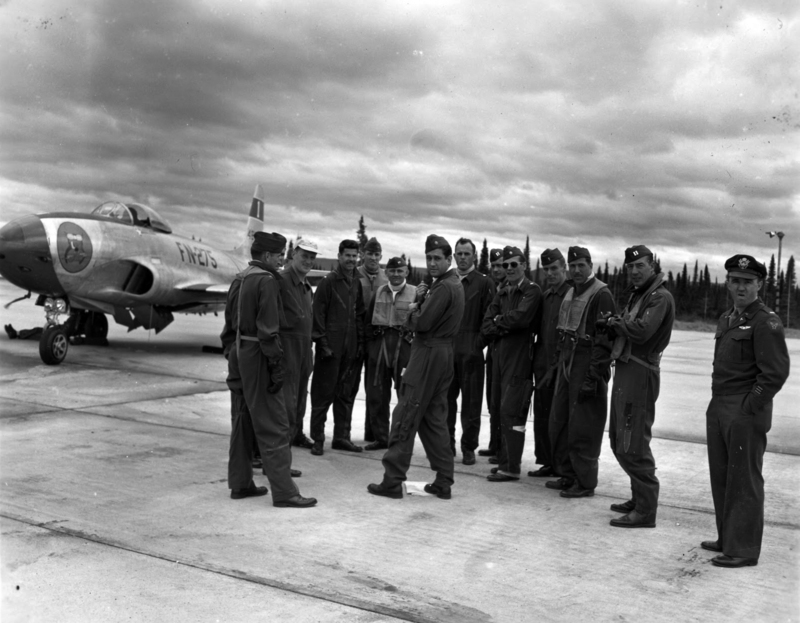 Late 1940s F-80 pilots gathered for a briefing prior to flying wearing L-1 flight suits, B-5 LPU with garrison caps. 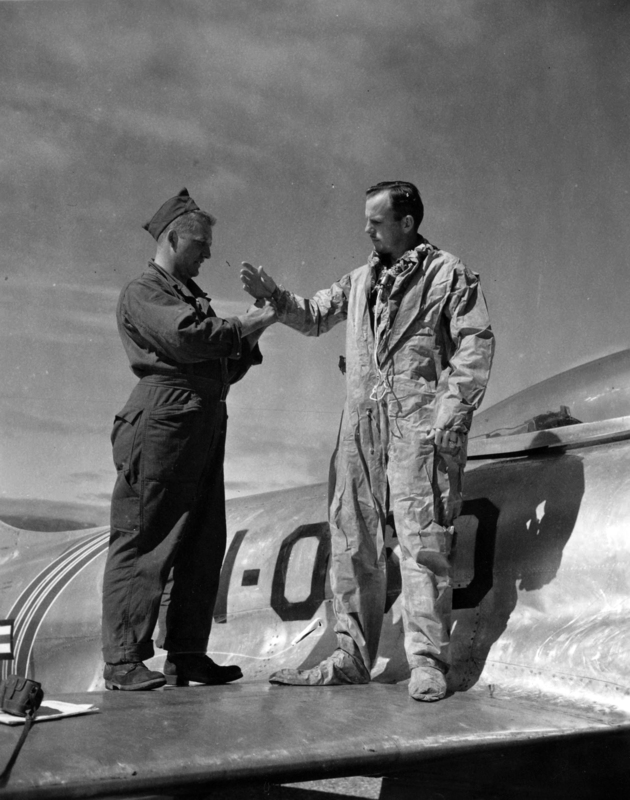 2 USAF pilots wearing L-2B flight suits and MA-1 flight jackets run through some notes. 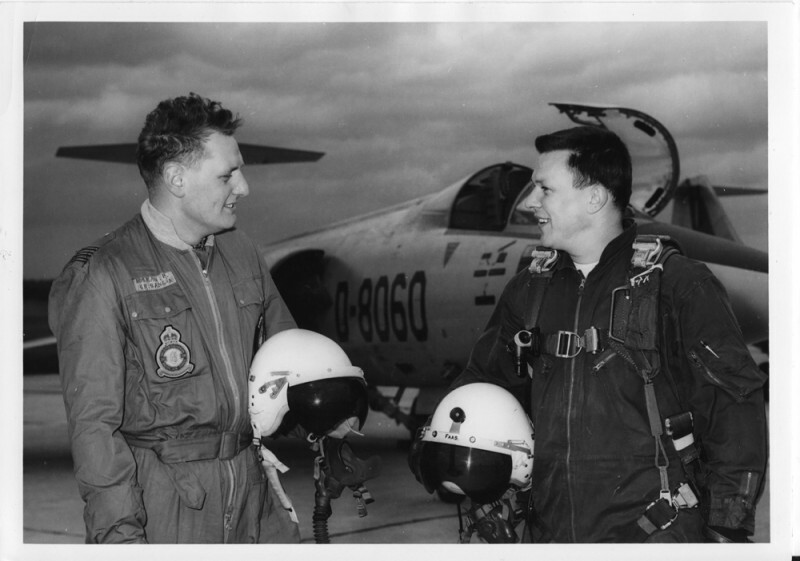 Norwegian or DutchF-104 Starfighter pilots with P-4 / P-4B flight helmets, MS22001 oxygen masks, flight suits and backpack parachute harnesses. 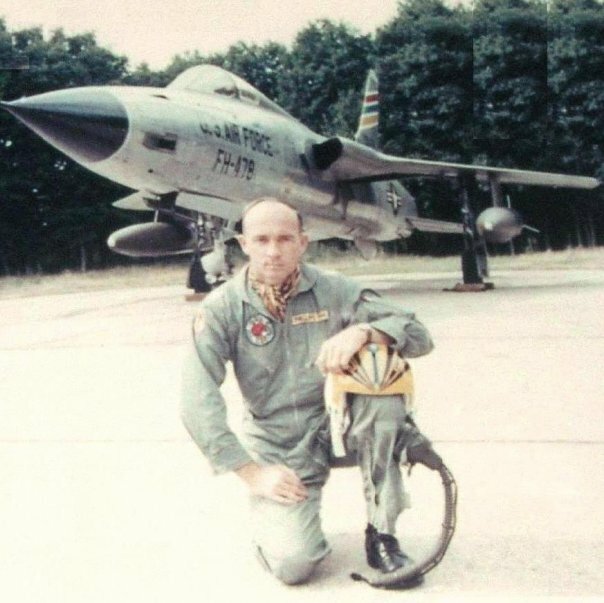 USAF F-105D Thunderchief pilot in Germany with K-2B flight suit, HGU-2/P flight helmet and MBU-5/P oxygen mask. 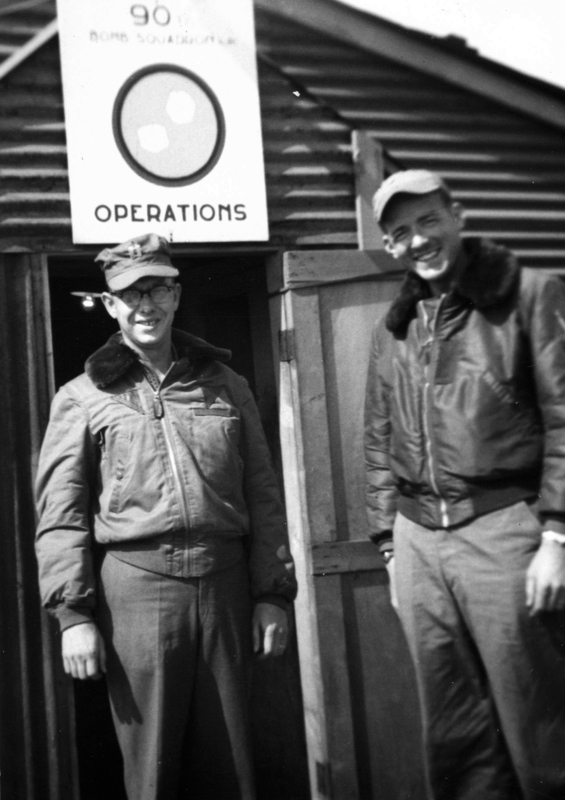 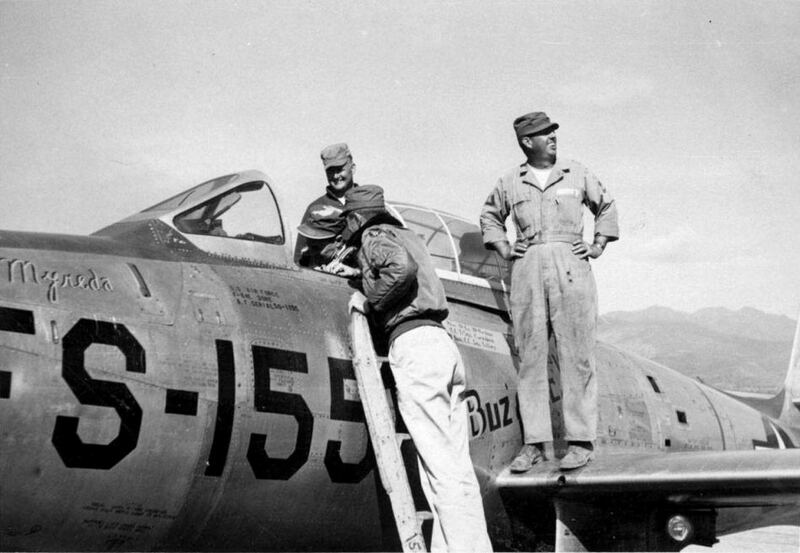 Korean War era photos showing left to right – F-86F Sabre pilot in L-1A flight suit, B-5 LPU and backpack parachute – and 2 pilots from 90th FBS wearing B-15A flight jacket left and B-15B or C flight jacket on right with unit flight caps. 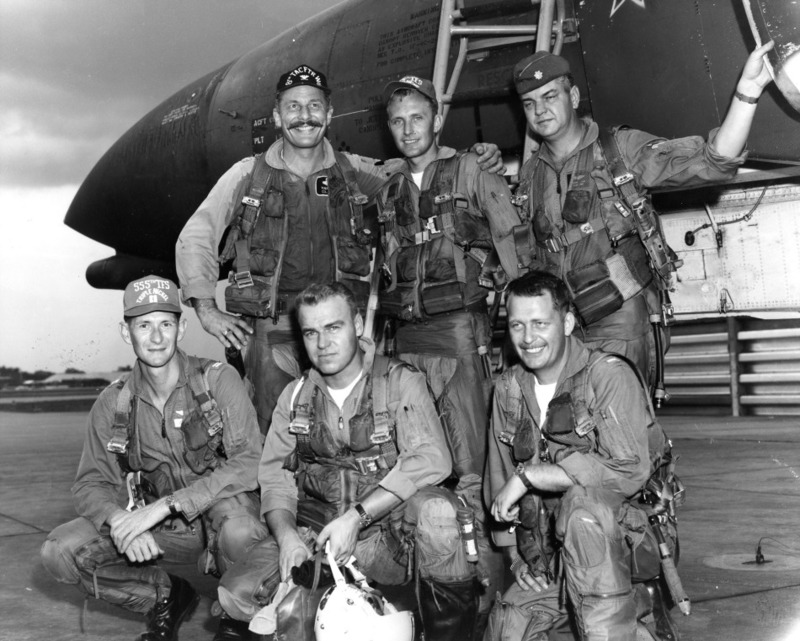 L – 8th TFW F-4C Phantom Mig Killing pilots surround Col Robin Olds in 1967. 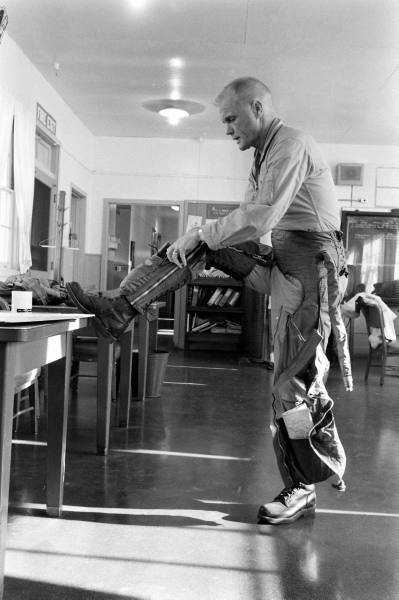 All wear K-2B flight suits – note Robins suit is soaked… CSu-3/P g suits, SRU-021/P survival vest, PCU-15/P Mk7 ejection seat harness, HGU-2A/P flight helmet and MBU-5/P oxygen masks, B-3 gloves and unit caps and garrison cap. 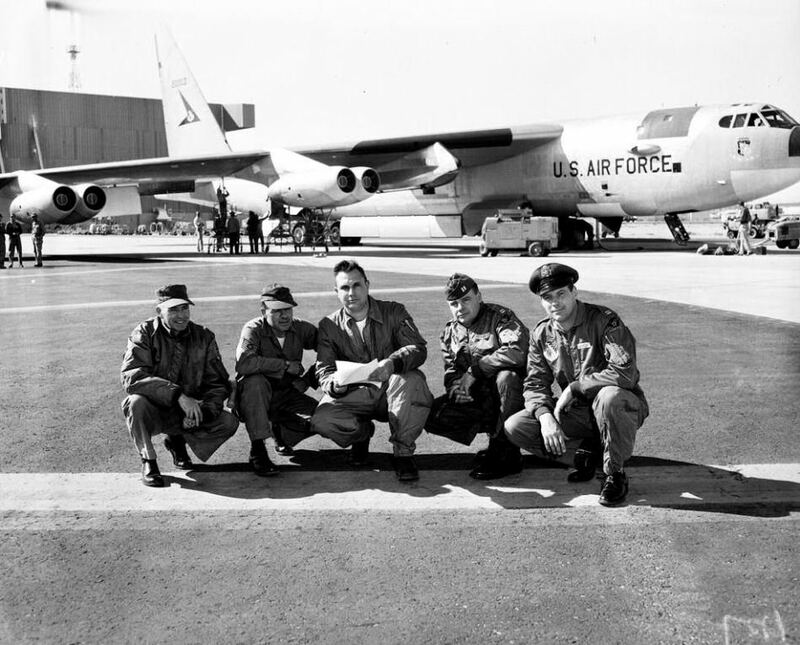 R – NB-52 USAF B-52 Stratofortress and crew wearing L-2B flight suit, MA-1 or L-2b flight jackets and flight caps. 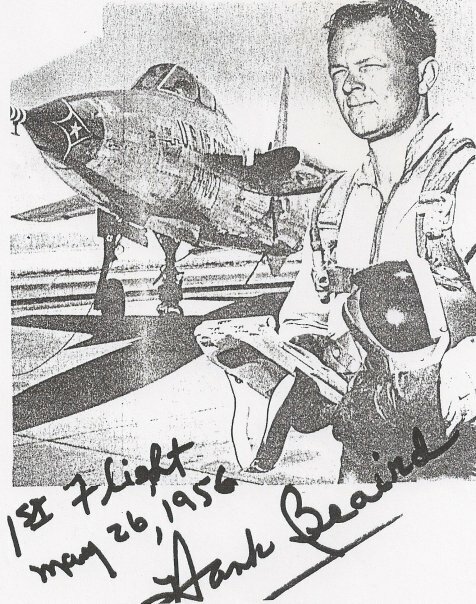 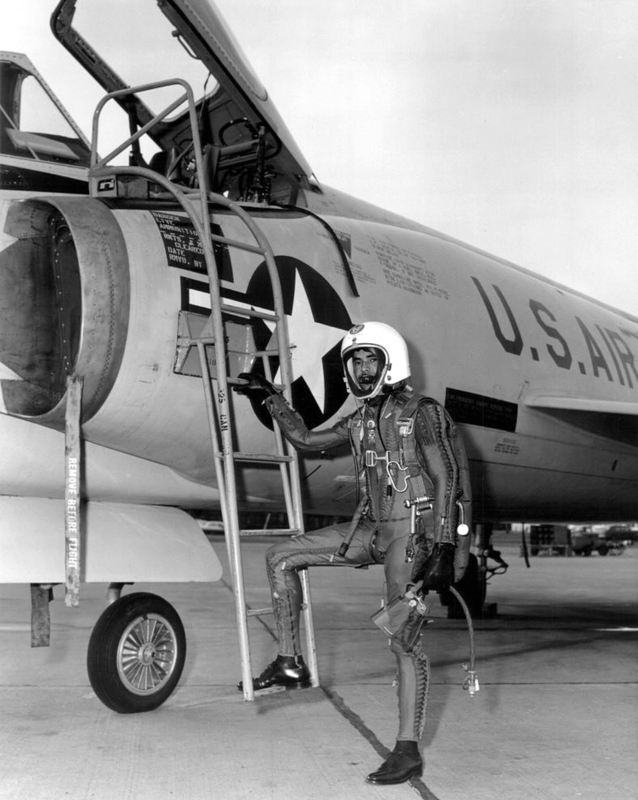 L – F-102 pilot wearing MA-2 flight helmet and MC-1 high altitude flight suit. 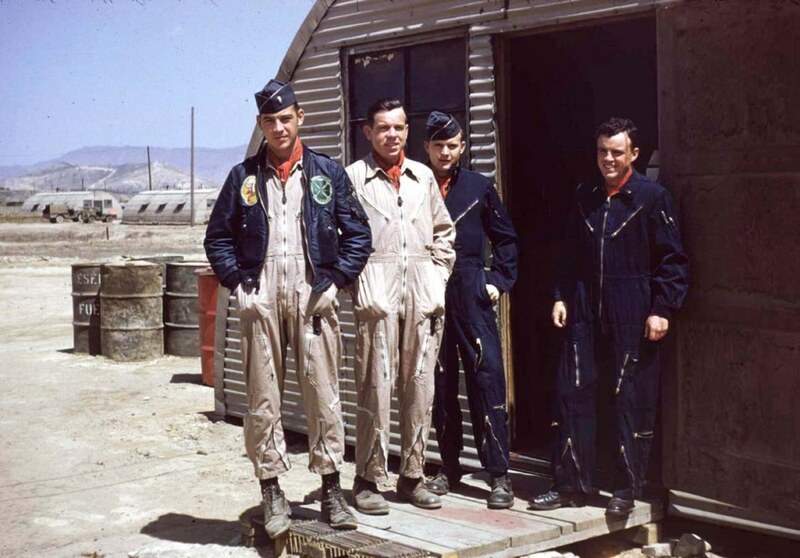 R Late 1940/early 50s USN FJ Fury pilots wearing flight suits and Mk-2 LPU. 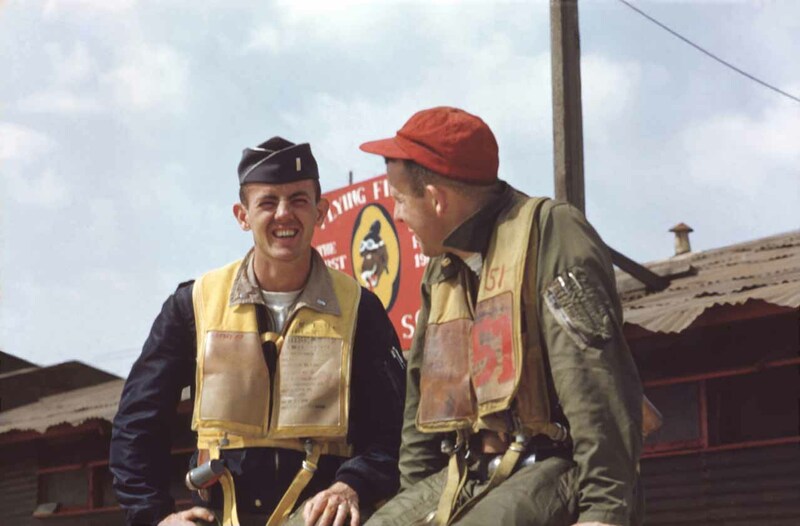 L – Korean War USAF 36th FBS pilots L-1A and K-1 flight suit, L-2A flight jacket, B-5 LPU and flight cap/garrison cap. 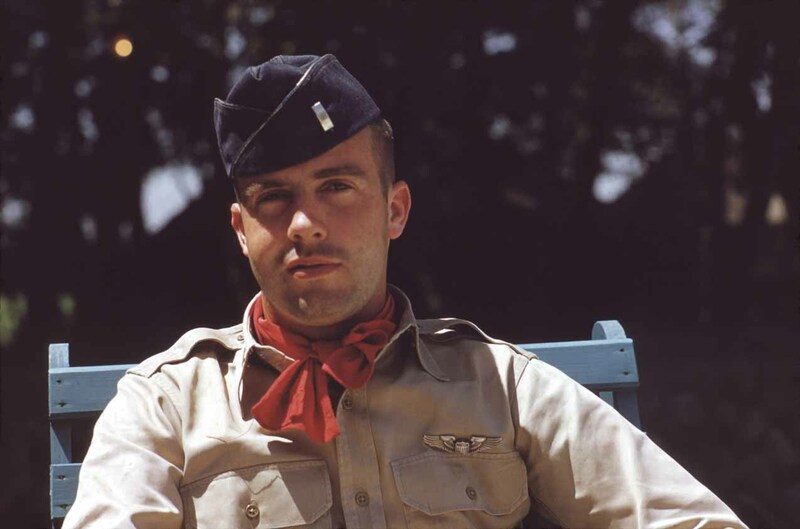 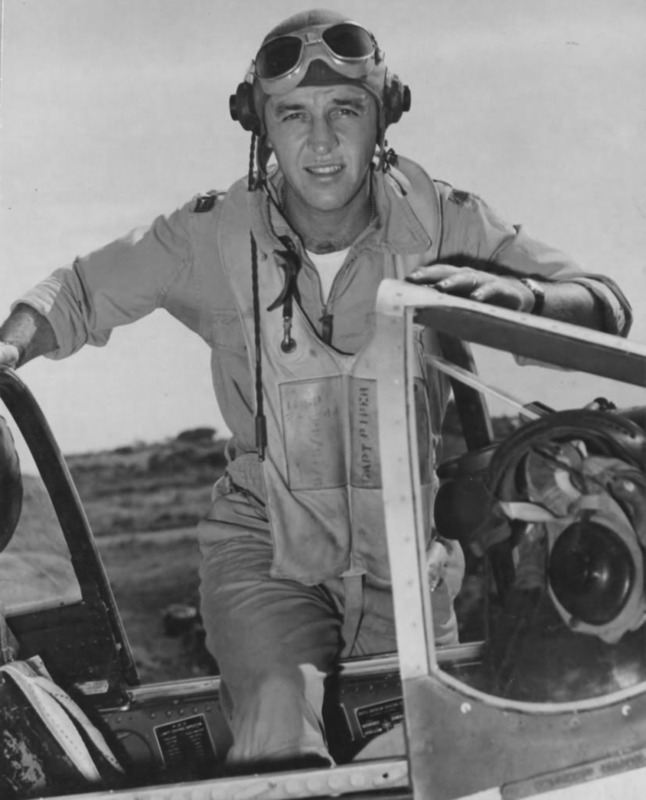 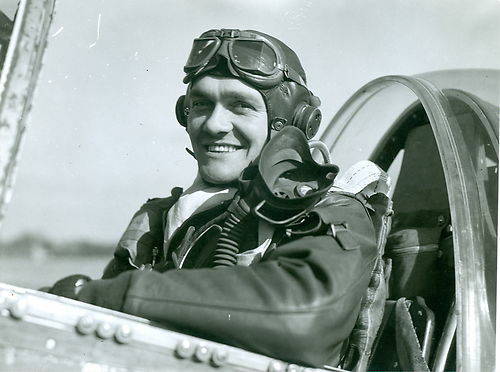 R – USAF Korean war pilot with garrison cap and tan dress uniform. 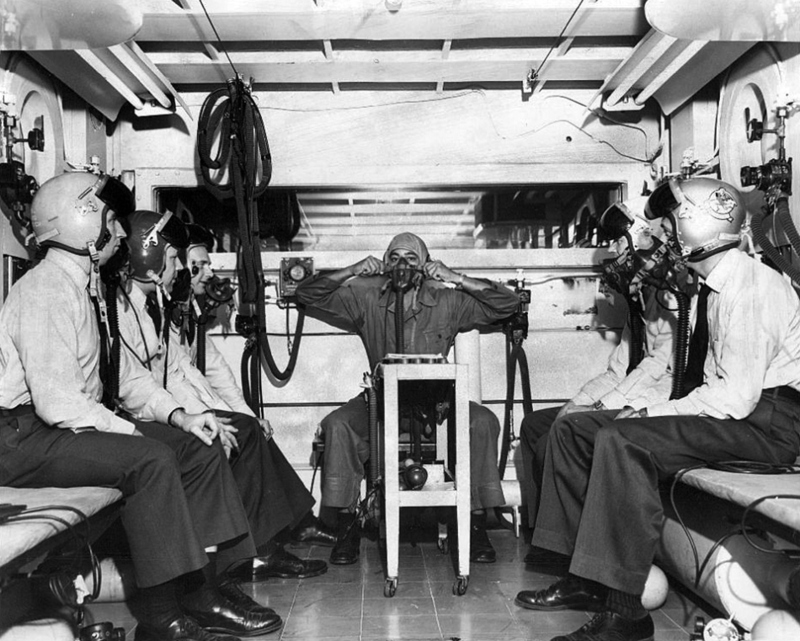 L – Altitude training oxygen chamber with pilots wearing P-1A flight helmets with visor modification and MS22001 oxygen mask. 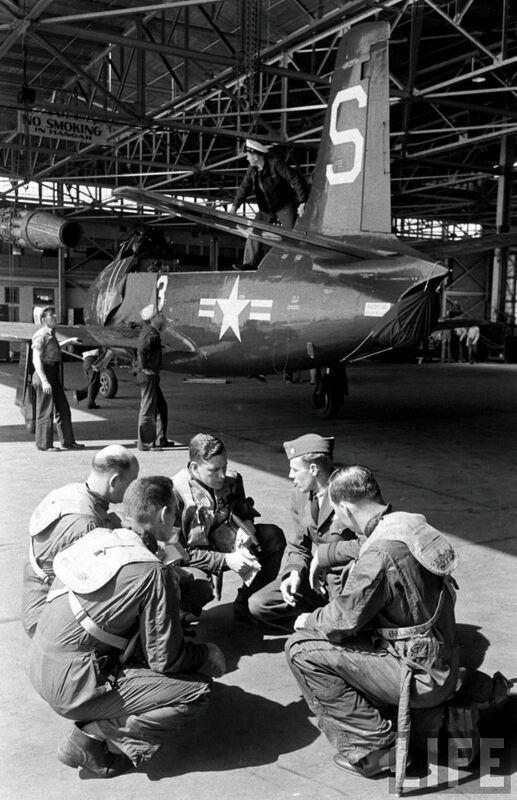 R – USAF aircrew and ground crew checking F-84 Thunderjet out. 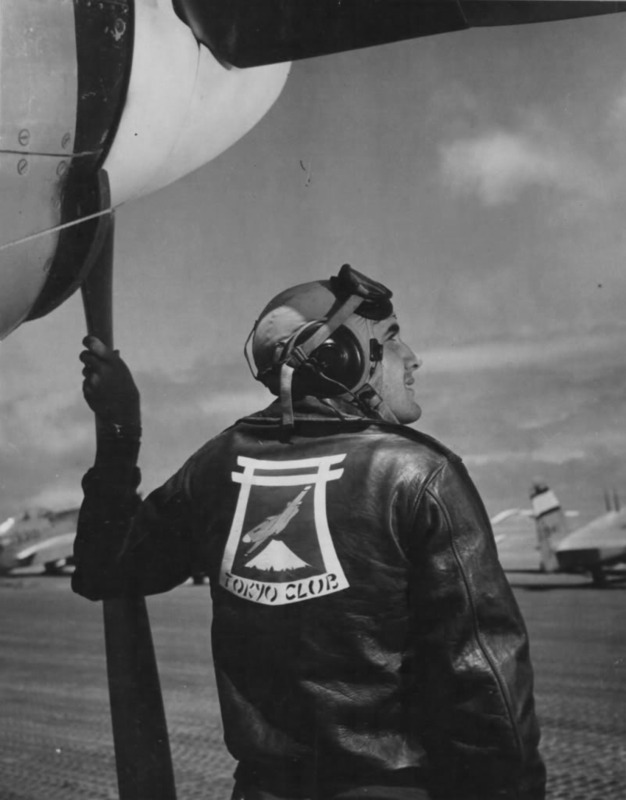 B-15 flight jacket worn by man on ladder. 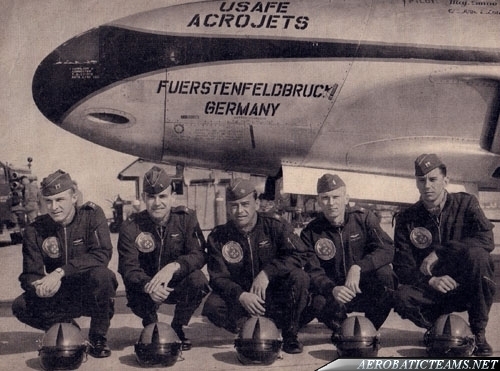 The USAFE Europe Acrobatic team the “Arcojets” showing their F-80 Shooting Star with nose art. 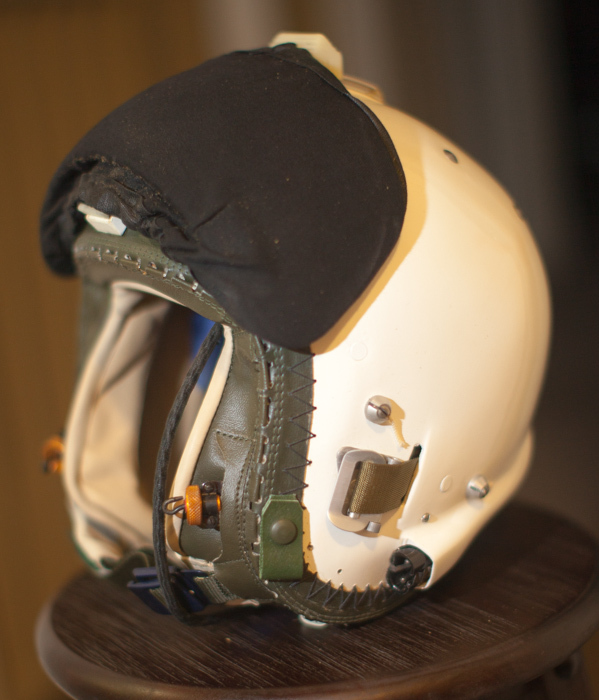 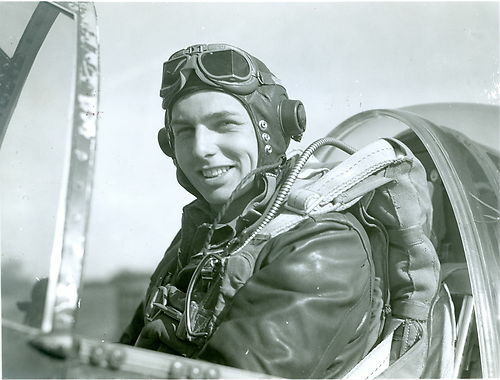 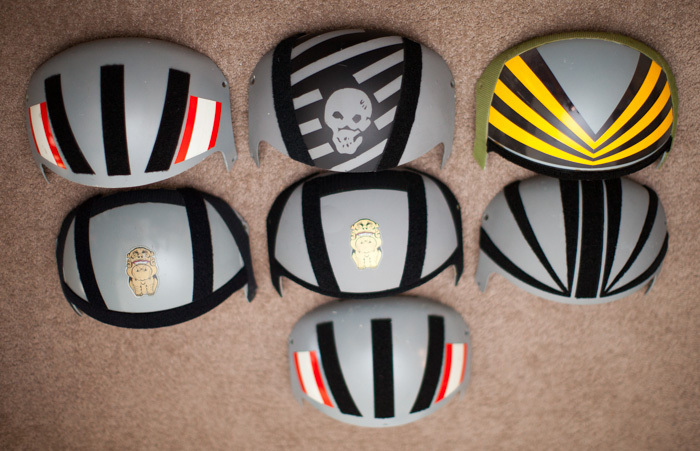 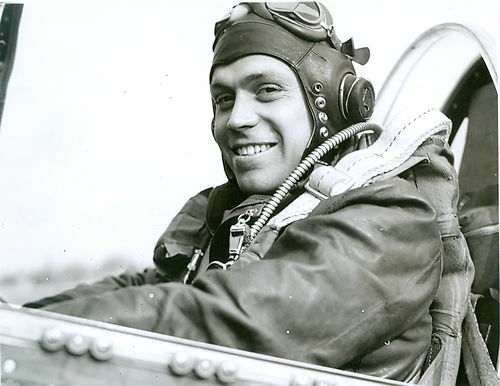 All have special wool L-1A style flight suits and P-1A flight helmets with visor modification to P-3 standard. 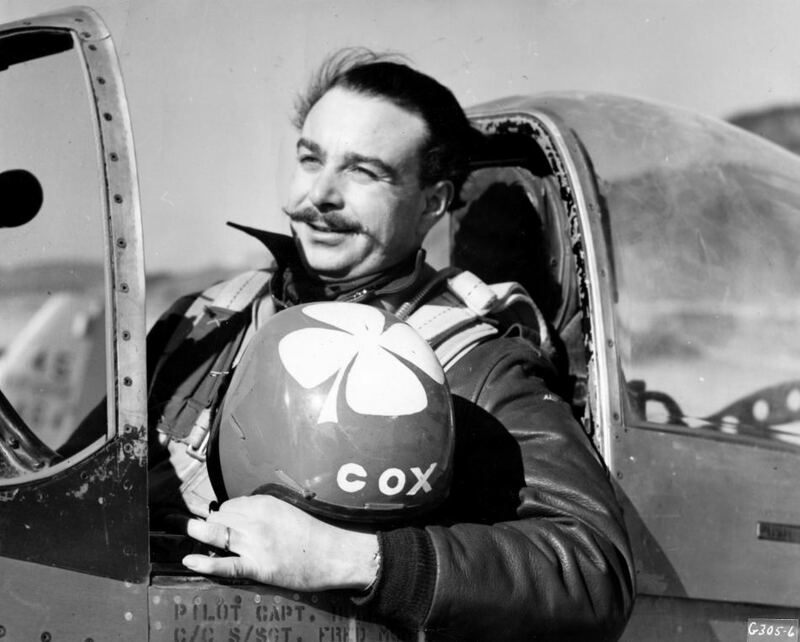 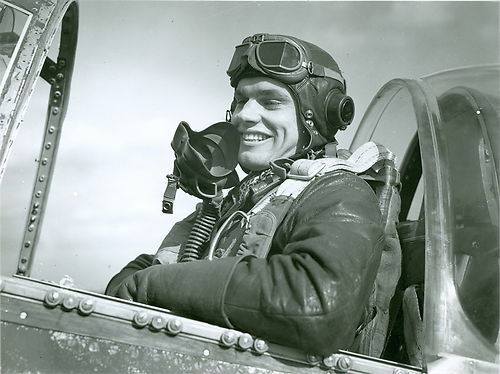 Note large squadron patch on right chest location on suits. 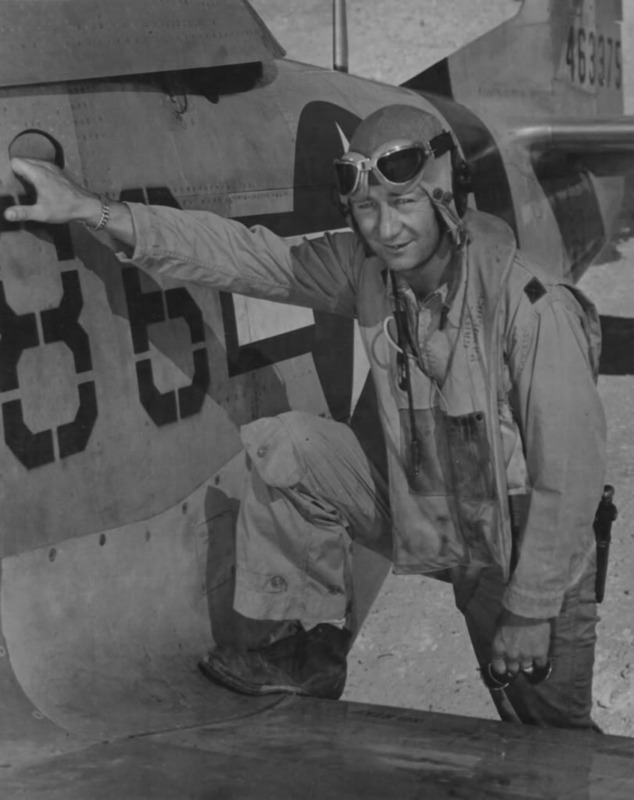 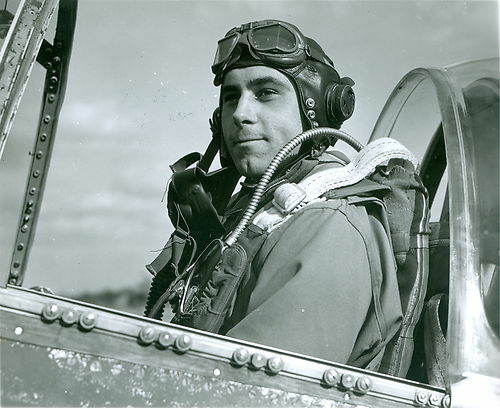 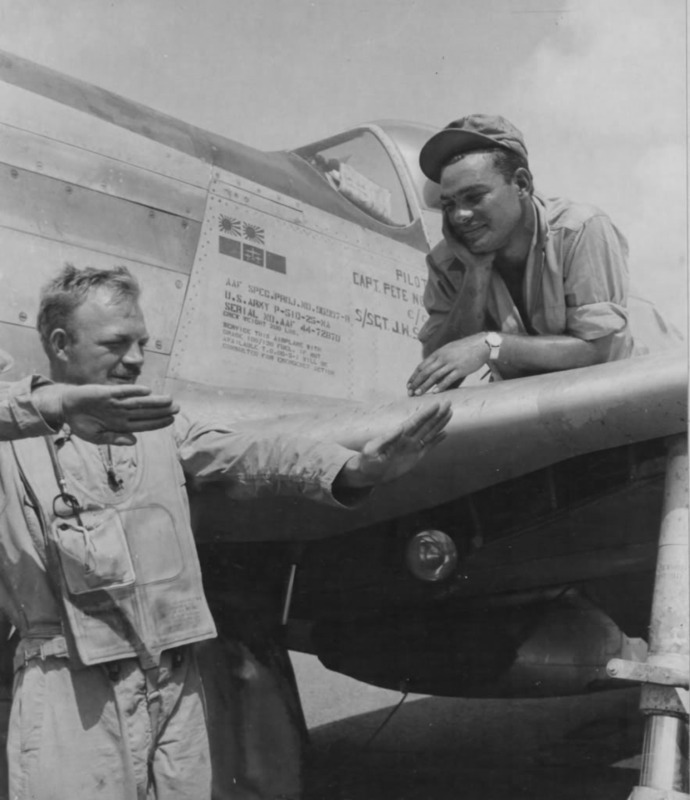 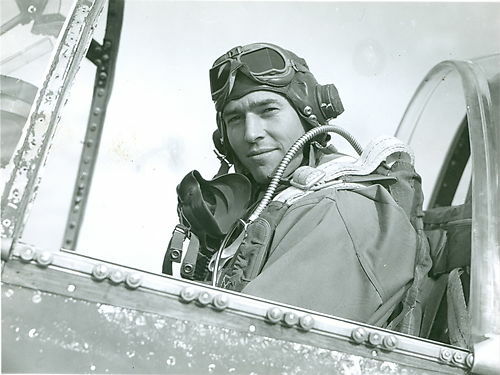 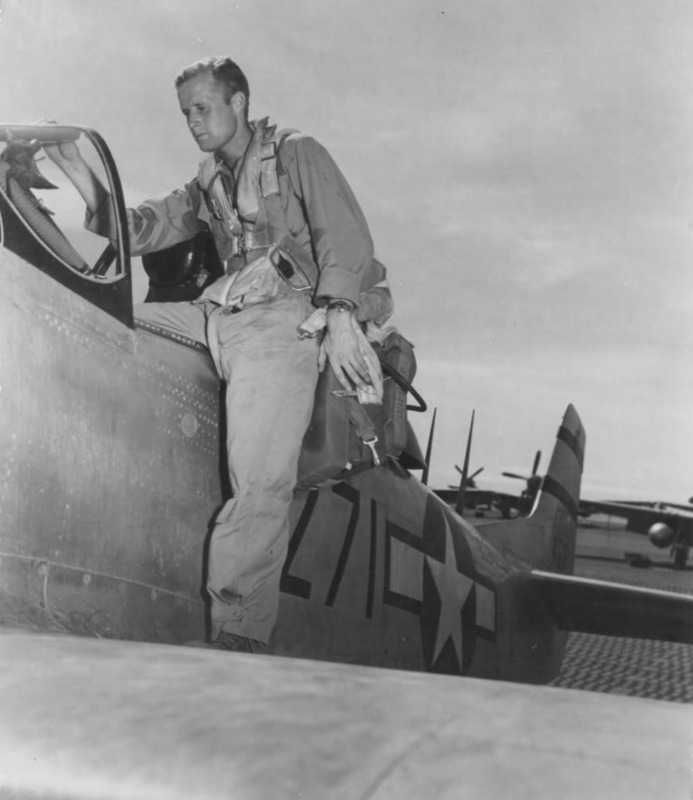 A USAAF WW2 P-51 Mustang pilot is shown wearing ANH-15 flight helmet, B-8 goggles, A-14 oxygen mask, tan K-1 flight suit maybe and a parachute harness. 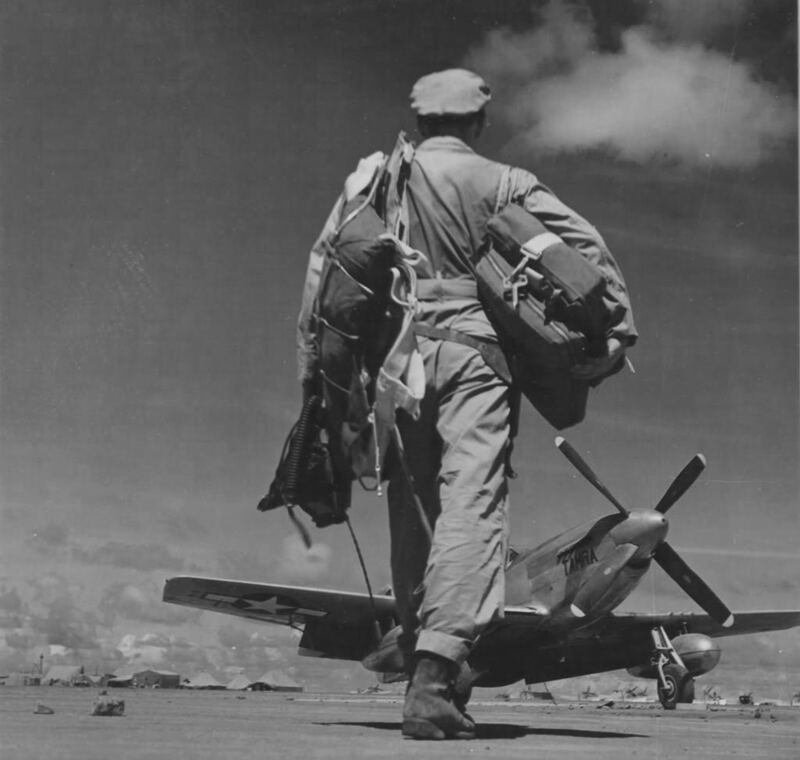 A USAAF P-51 Mustang wearing ANH-15 flight helmet, A-14 oxygen mask, AN-6510 goggles, seat parachute harness and A-4 flight suit. 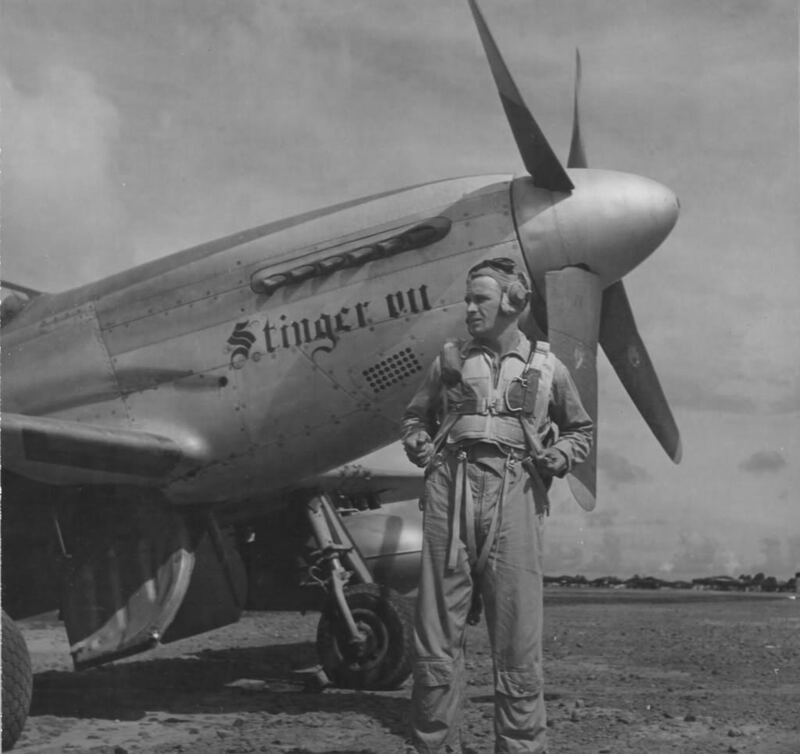 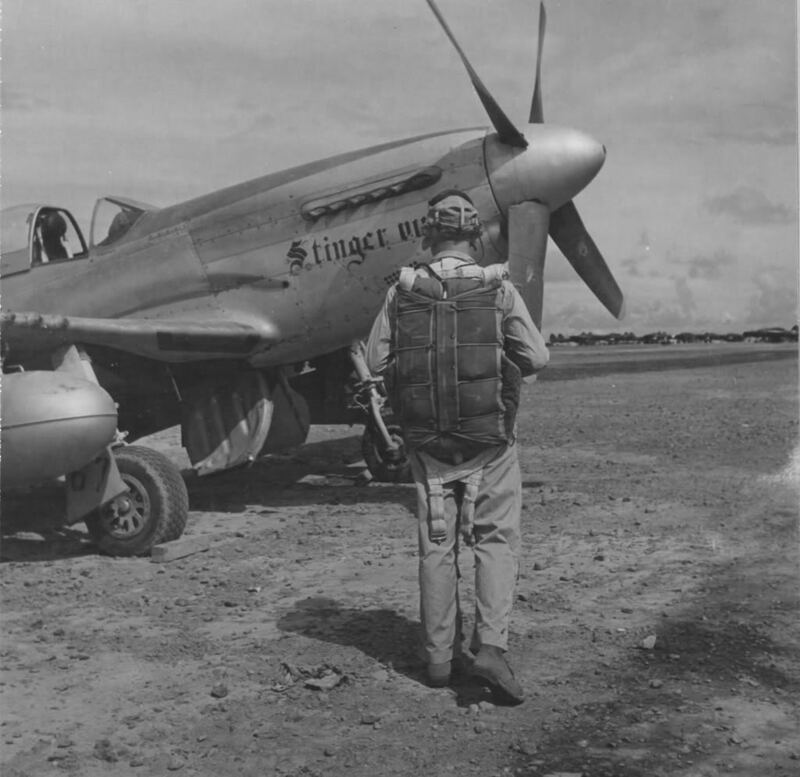 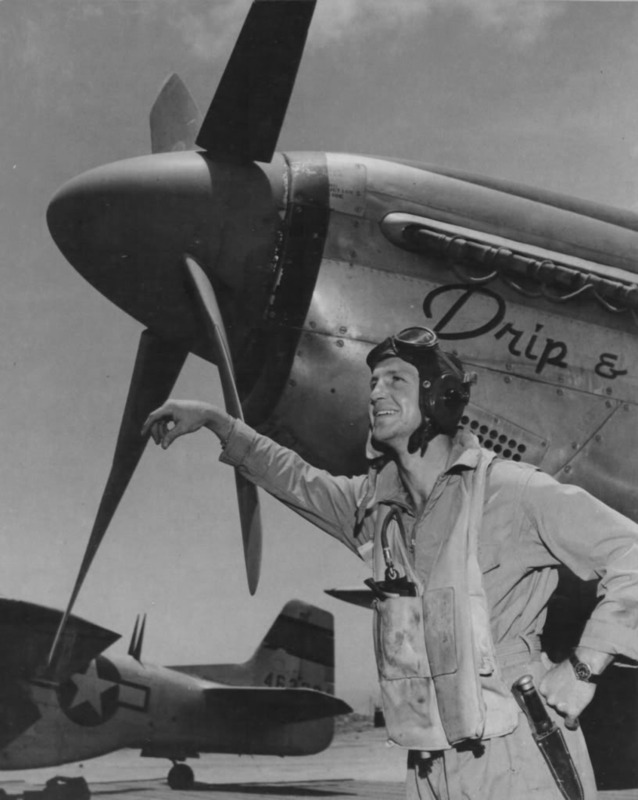 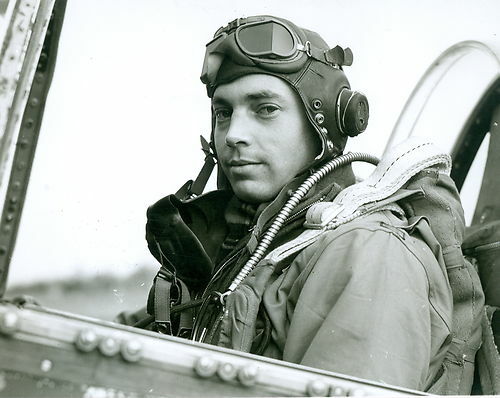 A USAAF P-51 Mustang pilot wearing A-4 flight suit and a S-2 parachute pack. 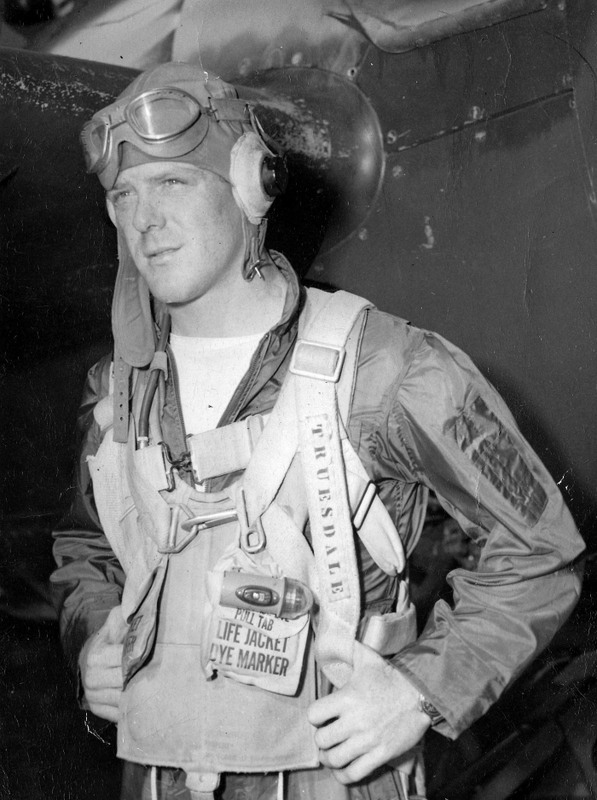 A US Navy pilot wearing a nylon flight suit maybe?, a QAS parachute harness, B-4 LPU, AN goggles and a M-450 flight helmet. 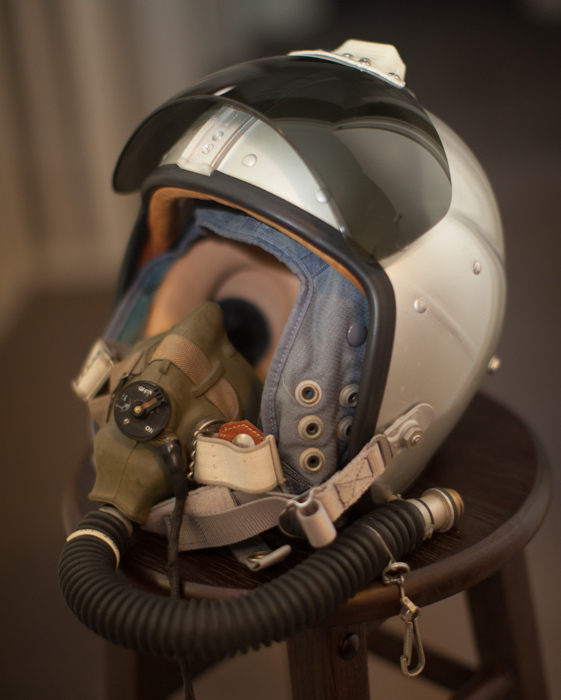 A F-104 Starfighter pilot wearing K-1 high altitude flight helmet, backpack parachute and blue flight suit. 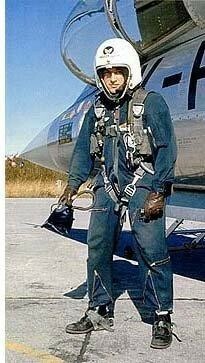 F-86 Sabre pilot wearing L-1A flight suit, backpack parachute harness, P-3 flight helmet and MS22001 oxygen mask. 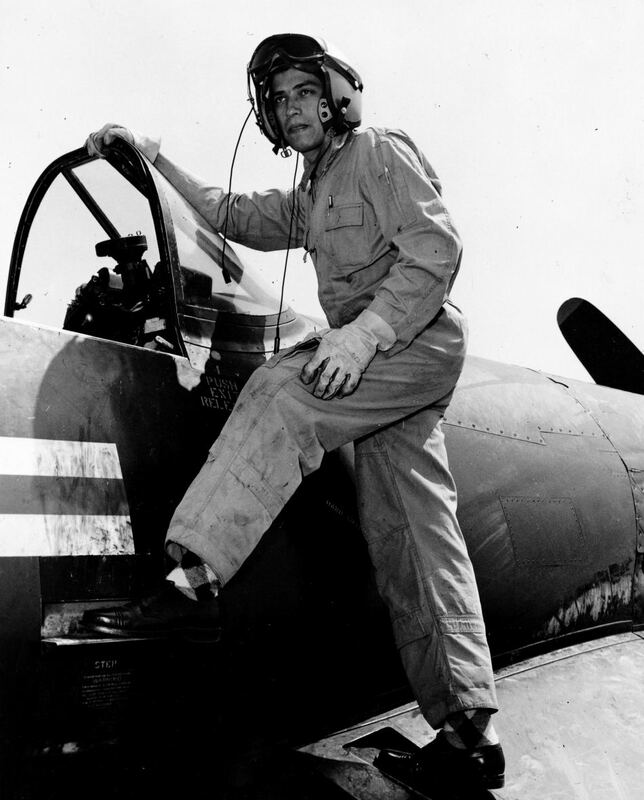 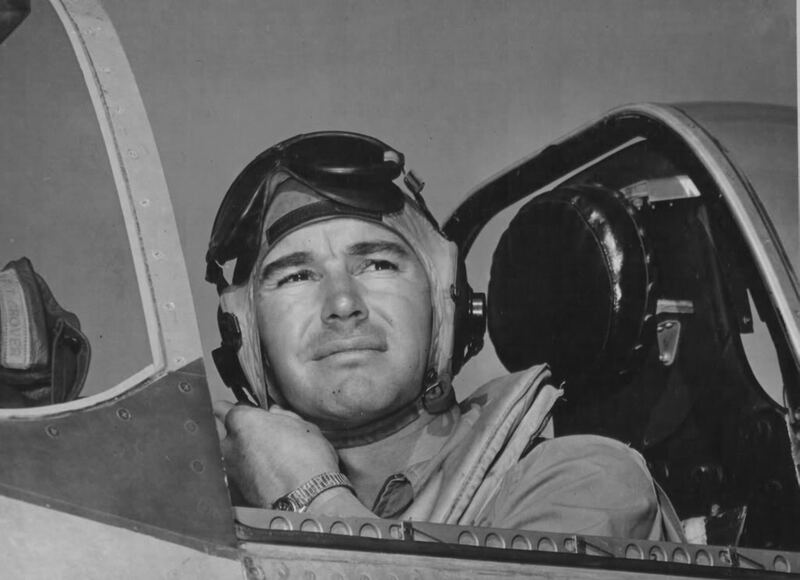 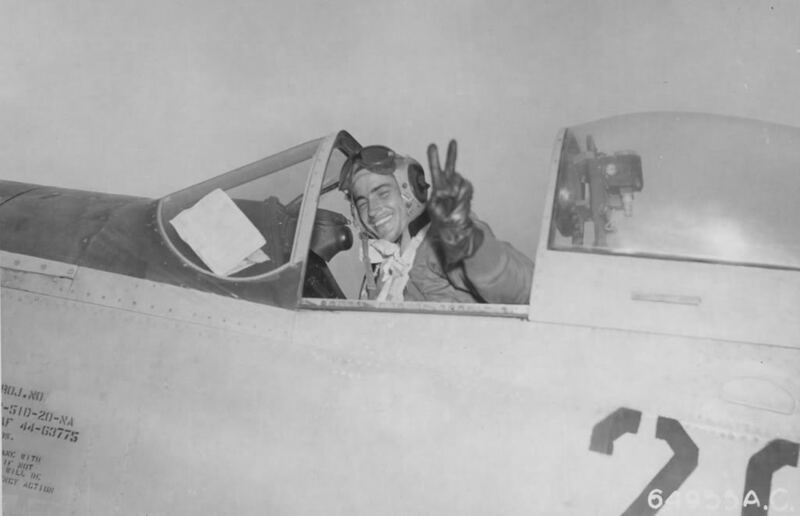 F4U Corsair US Navy pilot wearing a H-4 flight helmet with goggles and boom microphone, tan flight suit and yellow flight gloves. 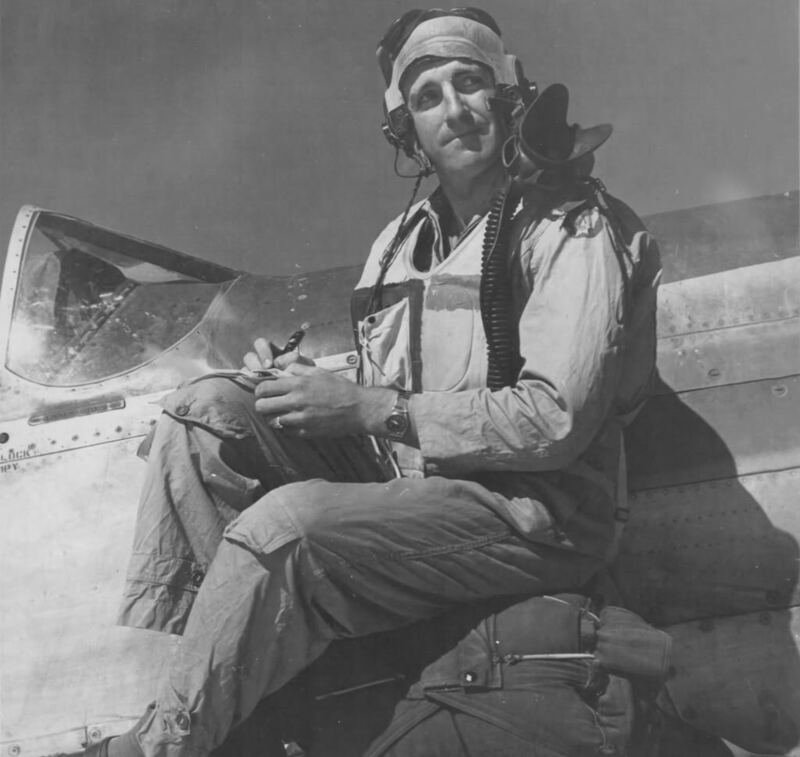 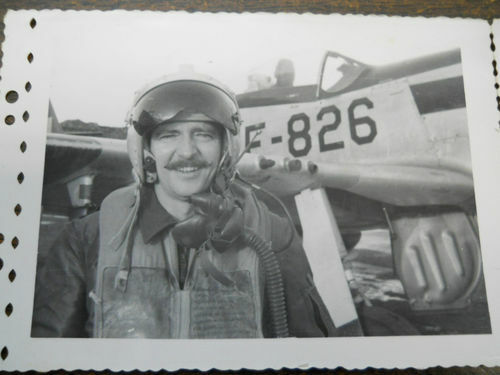 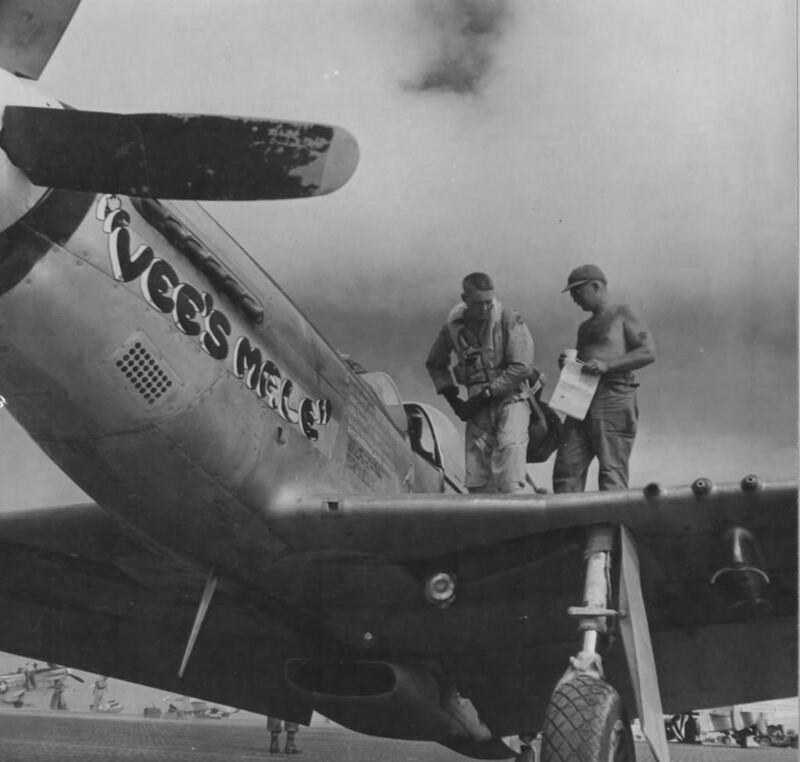 F-51D Mustang pilot holding a first generation P-1 flight helmet with artwork, sits on a seat parachute pack and wears a A-2 flight jacket. 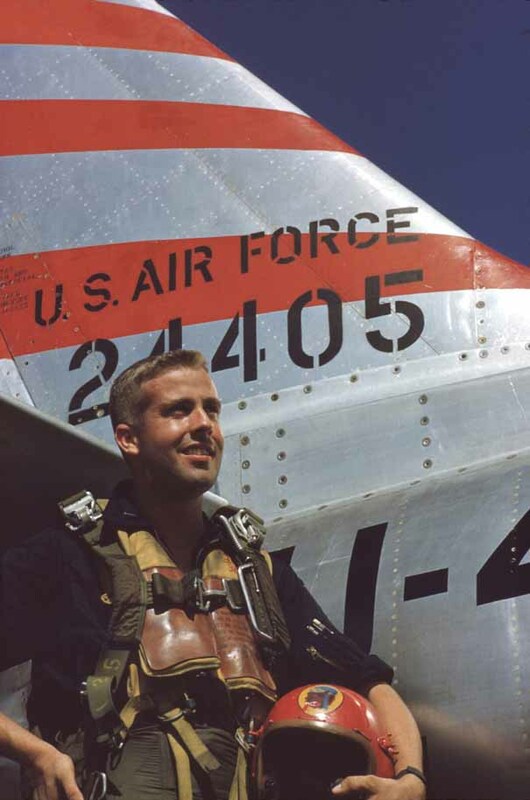 US Navy pilot with a modified H-4 flight helmet with goggles, MS22001 oxygen mask and a MK2 LPU. 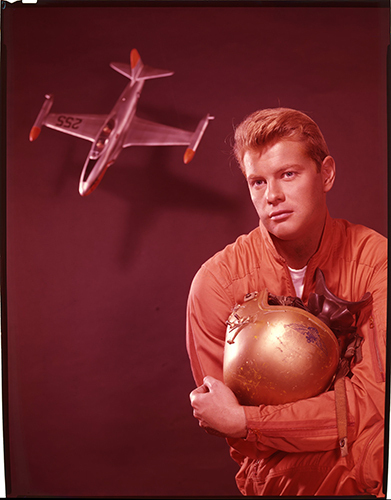 He wears an olive green flight suit and is strapped into a parachute. 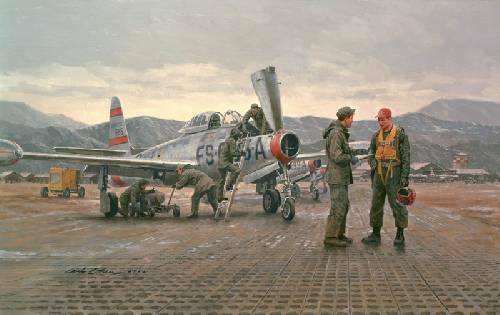 Korean War artwork showing a F-84 Thunderjet and pilot. 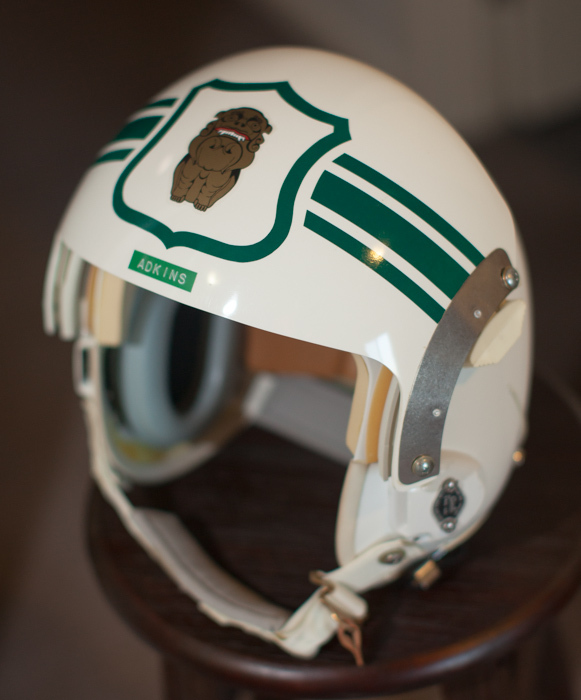 Pilot has a P-1A flight helmet, B-5 LPU, backpack parachute harness and a green flight suit with red unit cap. 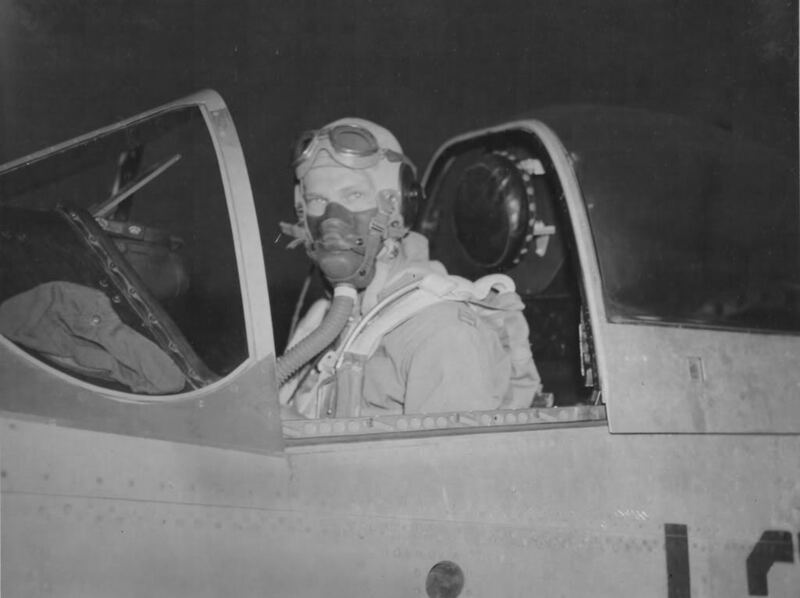 F-84 Thunderjet pilot wearing a P-1 flight helmet (original type from 1947) modified with external chinstrap, A-13 oxygen mask, backpack parachute harness and K-1 flight suit.